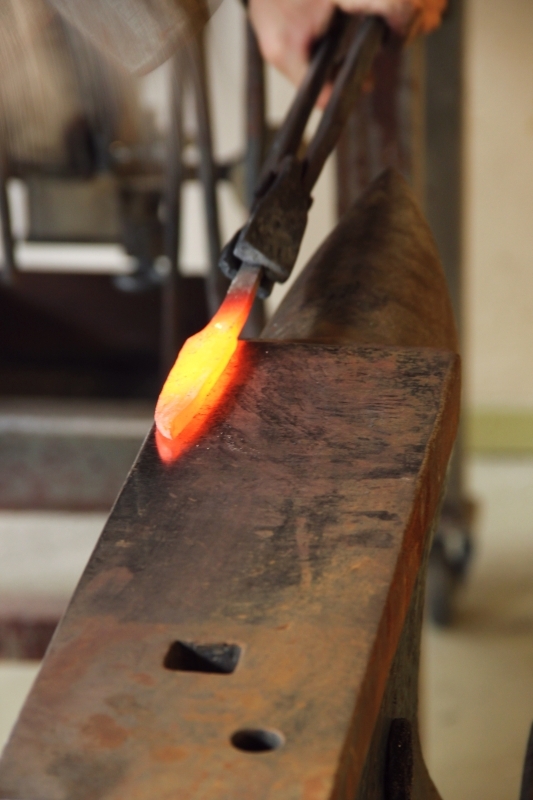 We start by forging the blades. 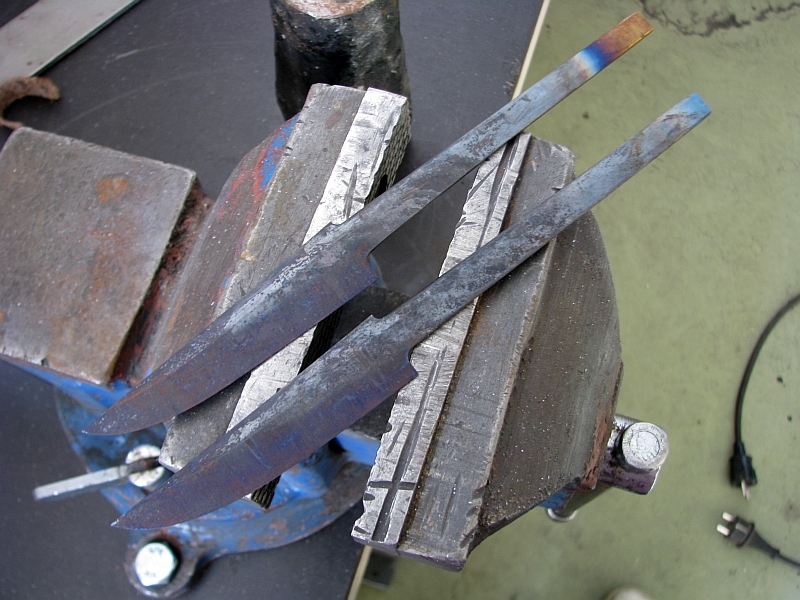 I am somewhat a traditionalist so I use a charcoal forge for heating the blades. 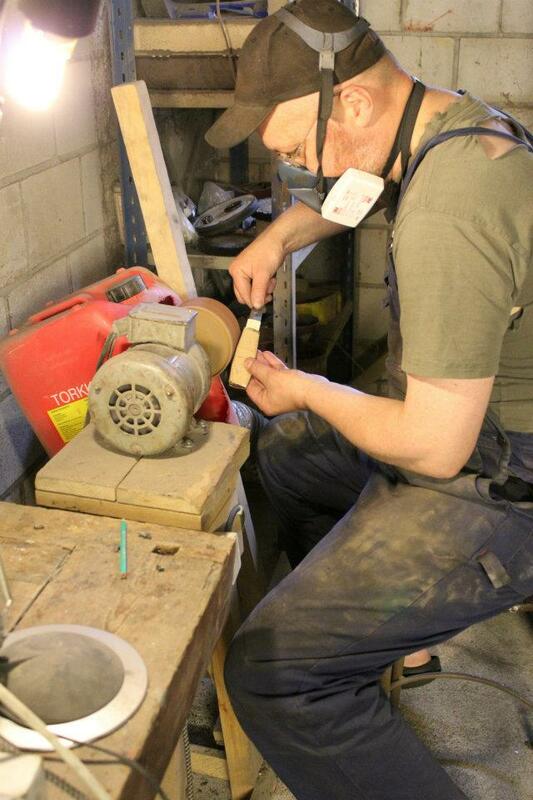 And here I’m hammering the blade to shape. I wear a respirator here. Despite the good air exchange there is a lot of small particles flying in the air so I like to play it safe, no matter how silly it looks. 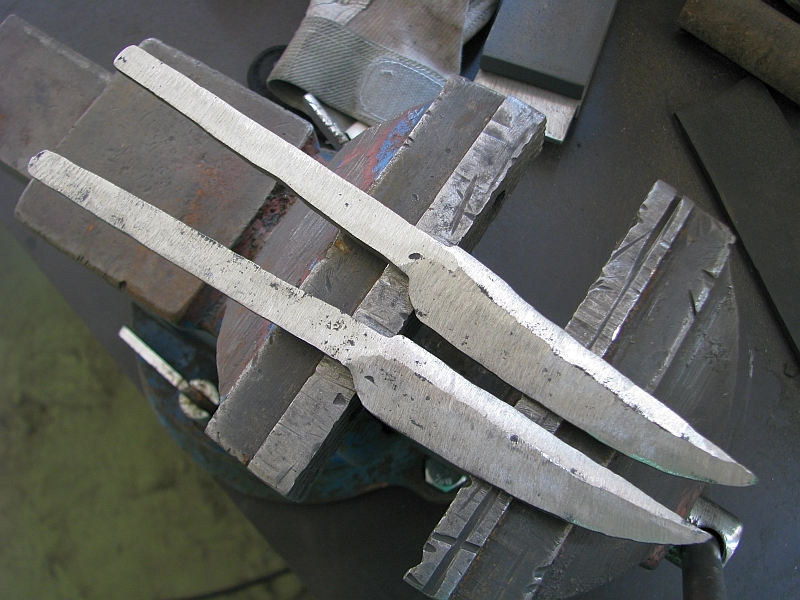 The forged blades have some resemblance to a knfe blade, but there’s still a lot of work to do. 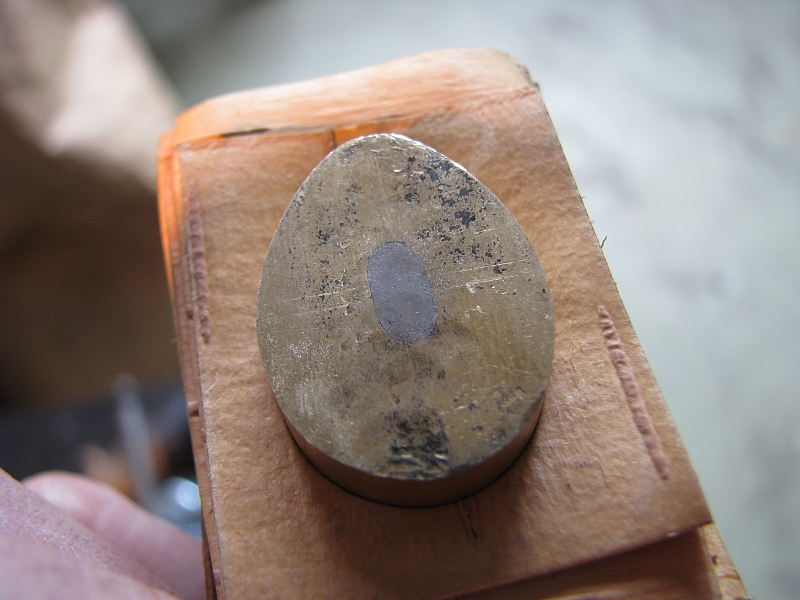 The oxide layer is gone! You can now see the roughly ground blades. 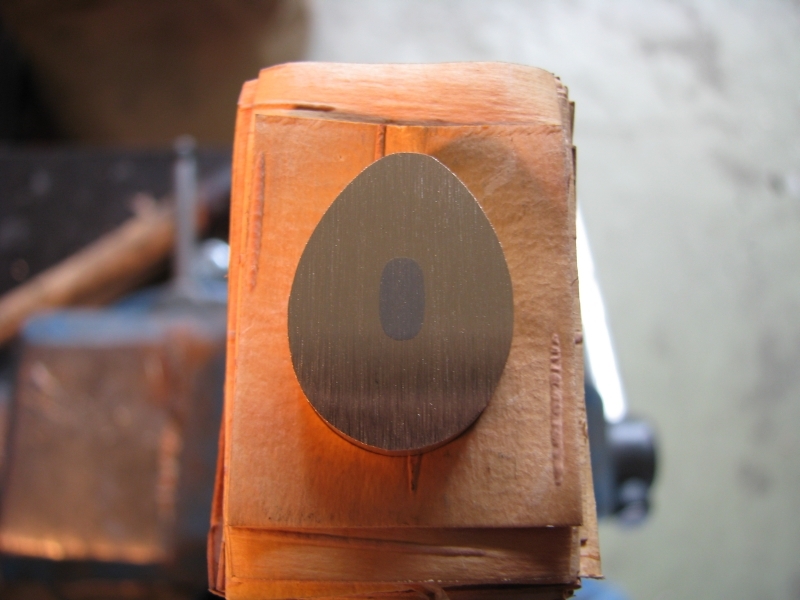 I didn’t get any pictures of the grinding process, but I use the same grinder that you see in a future pic where I’m shaping a bolster. 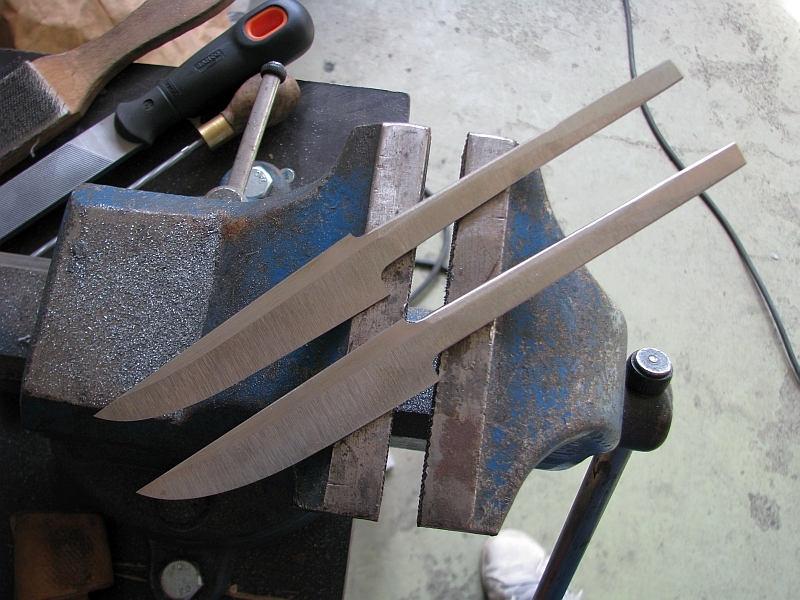 Some filework is needed to match the shoulders of the blades. It’s good to have a little radius on them. 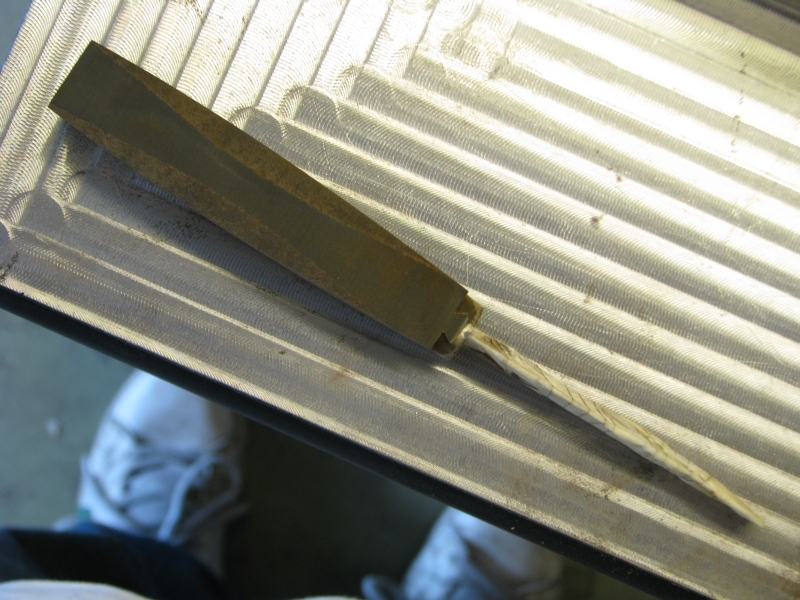 After quenching and tempering you can see what the blade has gone through. 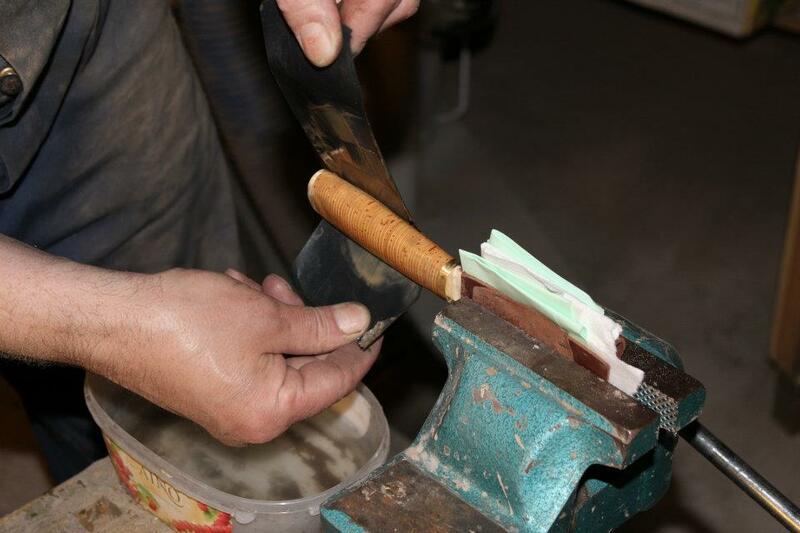 The edge quench is clearly visible and the tempering colours have also appeared. …so we can do some testing on them. 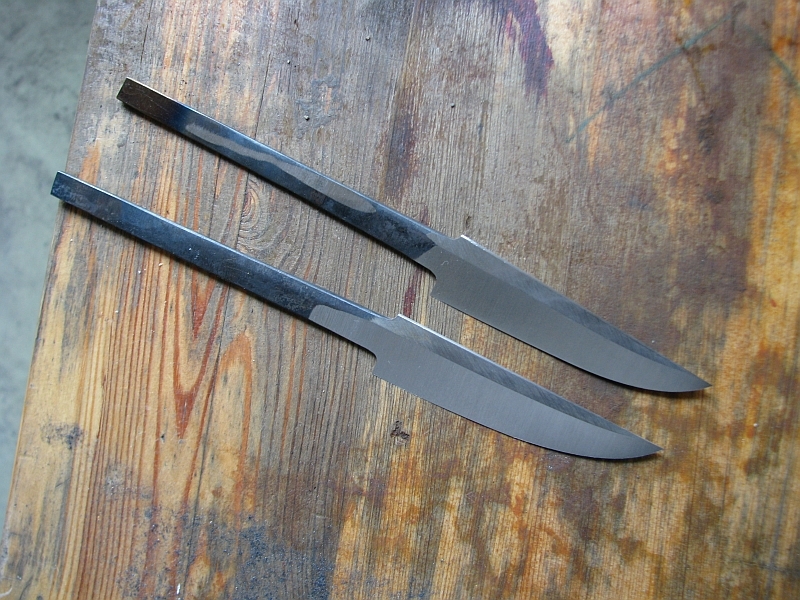 It would be best to make a temporary handle on these and carry them for daily chores for a while, but I can’t find the time for that on every single blade. So I do my best at testing them before I do my final finishing. 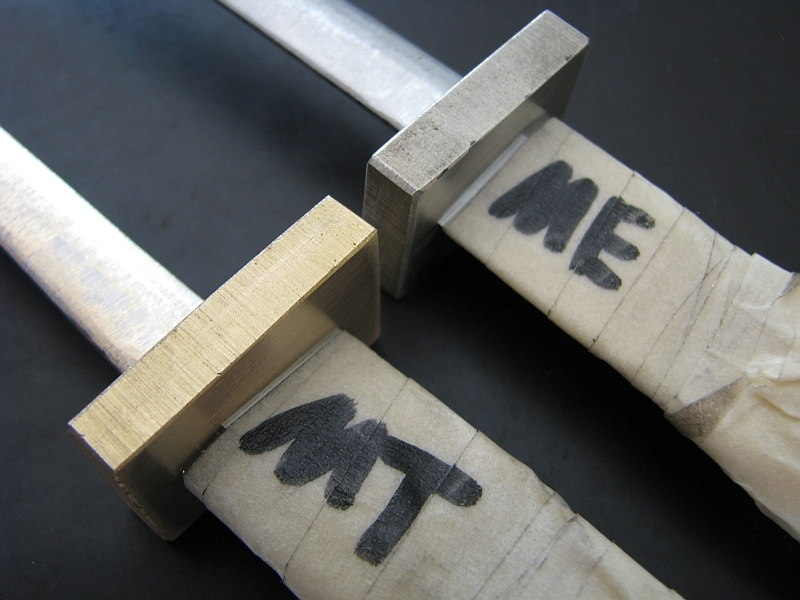 After the testing I can do my final finishing and add my name. 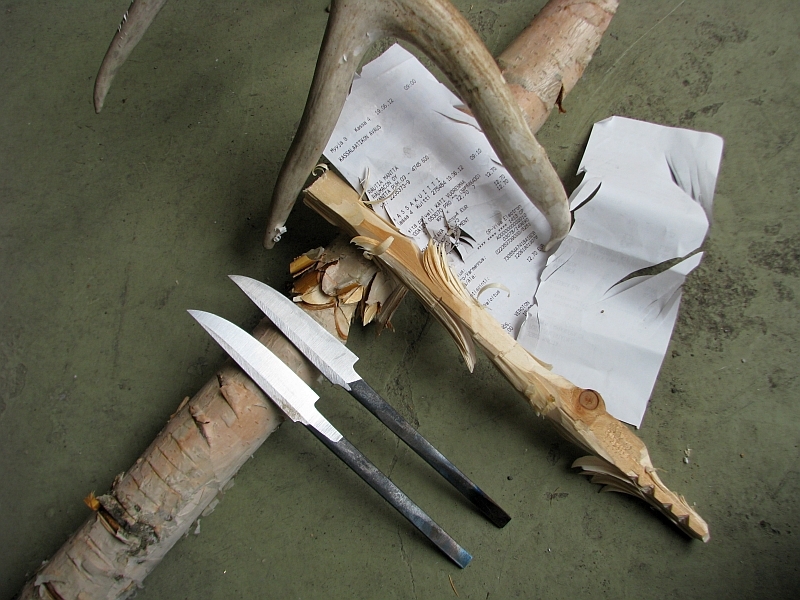 Now I have protected the blades with tape and I have the materials ready for the handles: some birch bark and some ebonite. 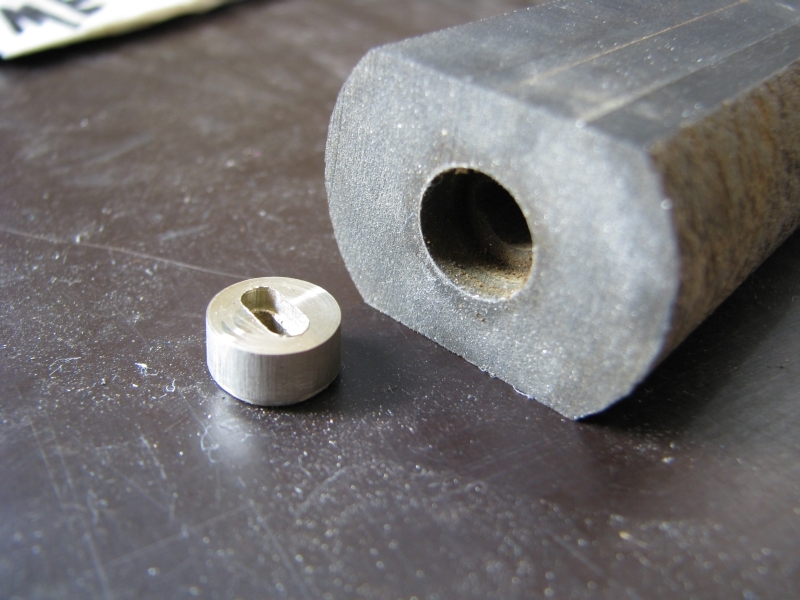 Notice that I have pre-machined the bolster materials. It helps me fit the pieces when I have a slot on them. 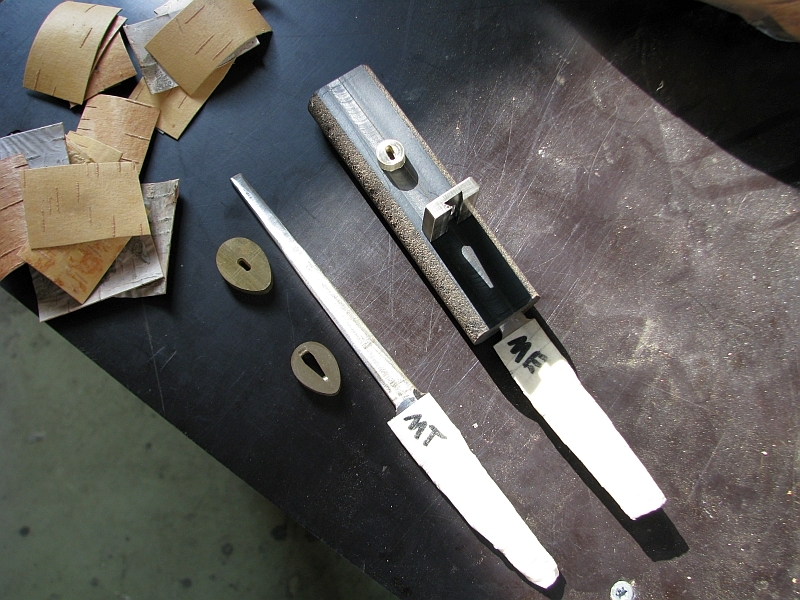 The front-bolsters are fitted by slowly pushing them down the tang of the blade and taking material off where it needs to be taken off. 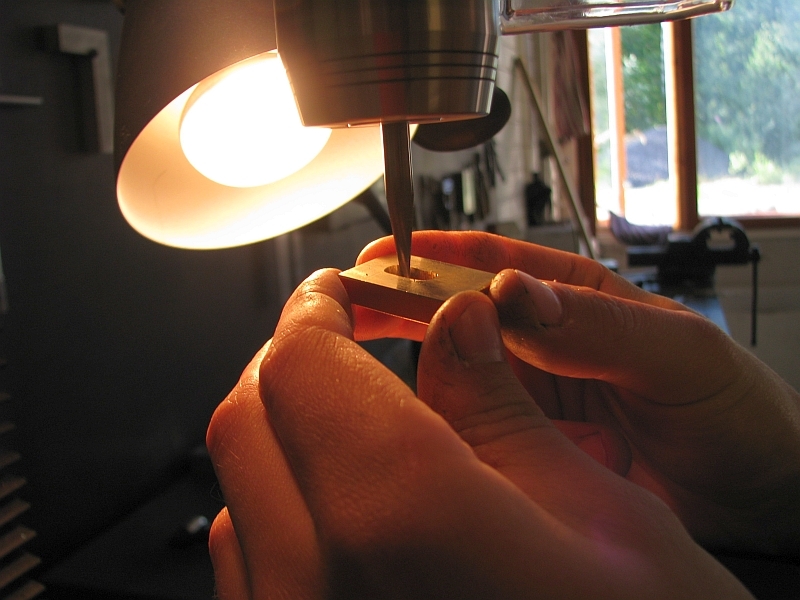 This can be achieved by small files or a rotary tool. 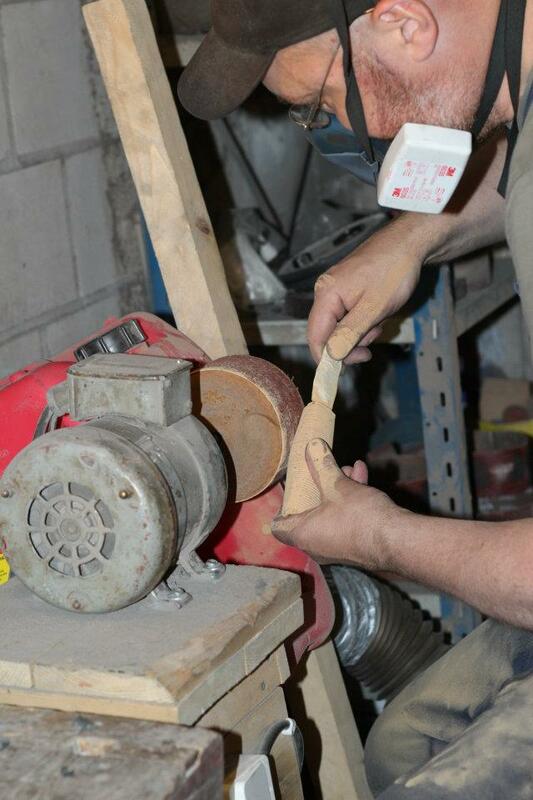 My solution is a bit unorthodox, but I like the control that I get by using a cone-shaped burr on my mill. Good light is essential in all precision tasks. 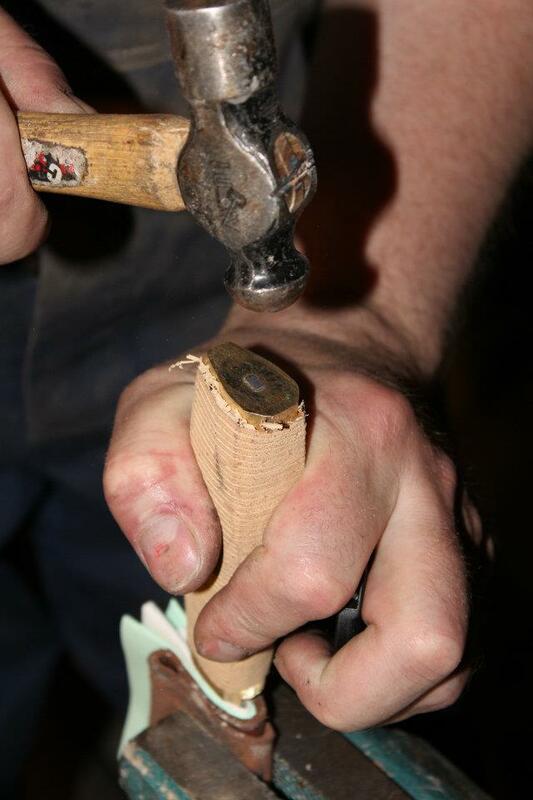 Now I’m adding the dovetail groove on the bolster. 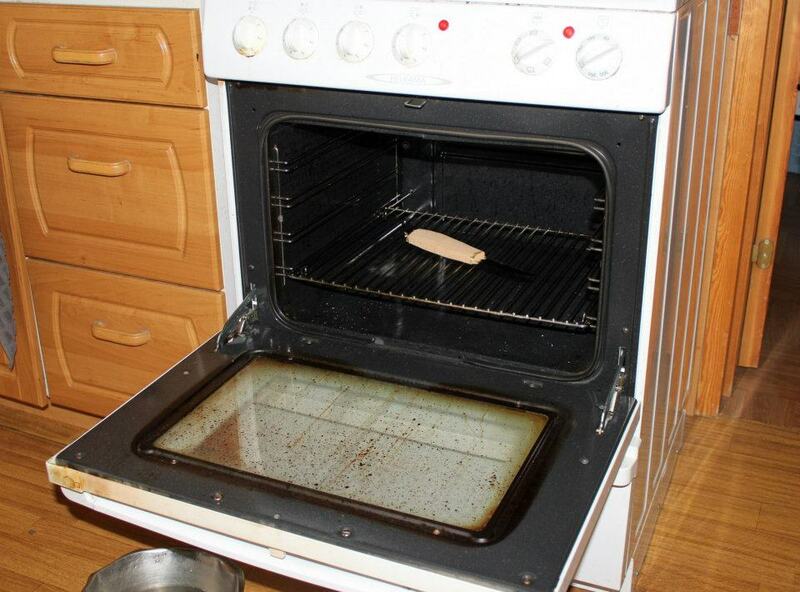 Some degree of precision is required. 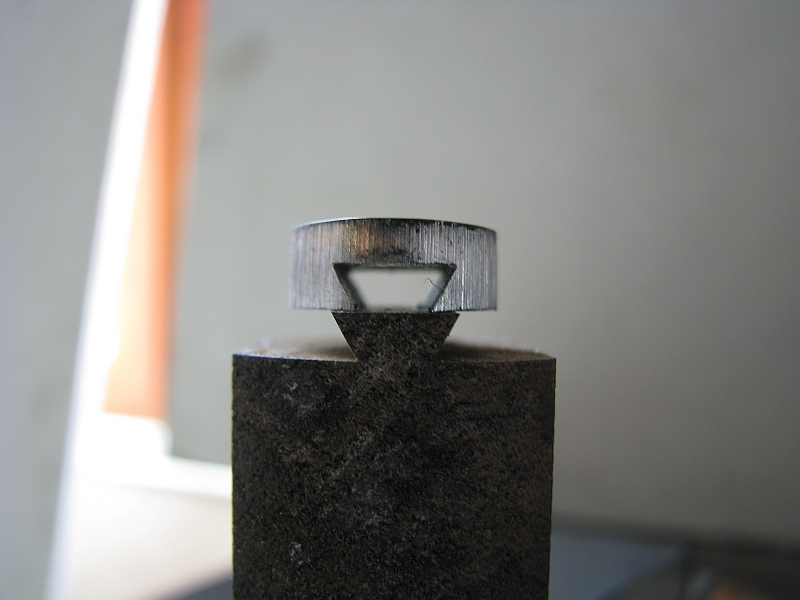 After the pieces are fitted I shape them on my belt grinder with a tool rest. We’re done shaping. 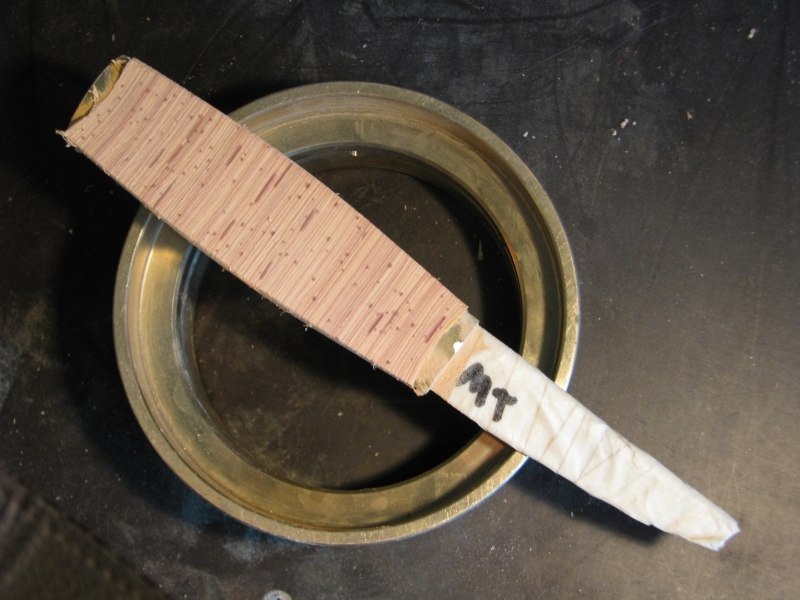 The dovetailed bolster still needs to be shaped. 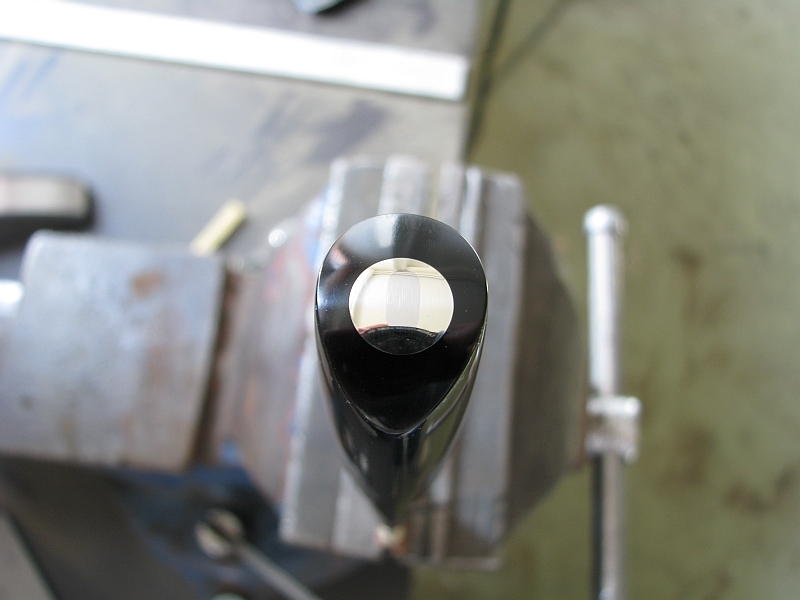 You can see that I have milled the sides of the round ebonite bar to make it more convenient. 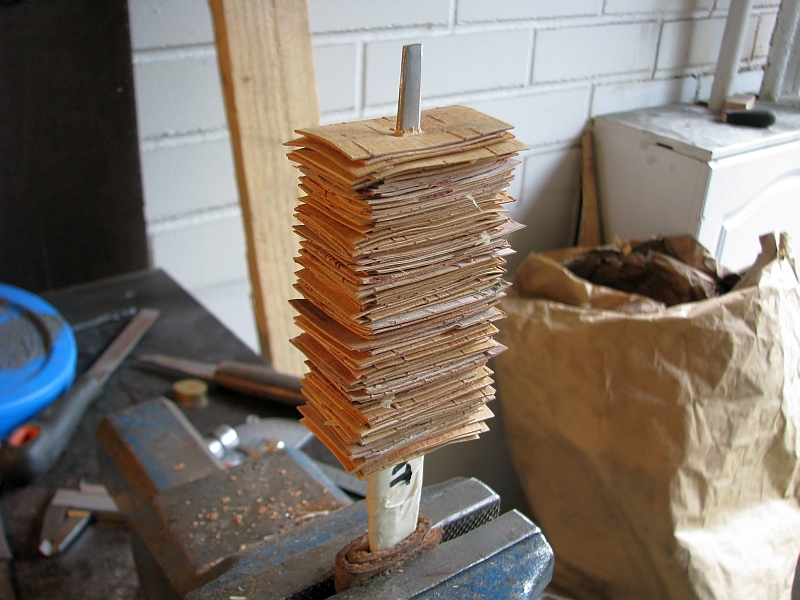 I have also started cutting the pieces of bark. Piece by piece I fit the bark and tighten every now and then. We’re almost done! After about a 100 pieces (give or take, I didn’t count!) 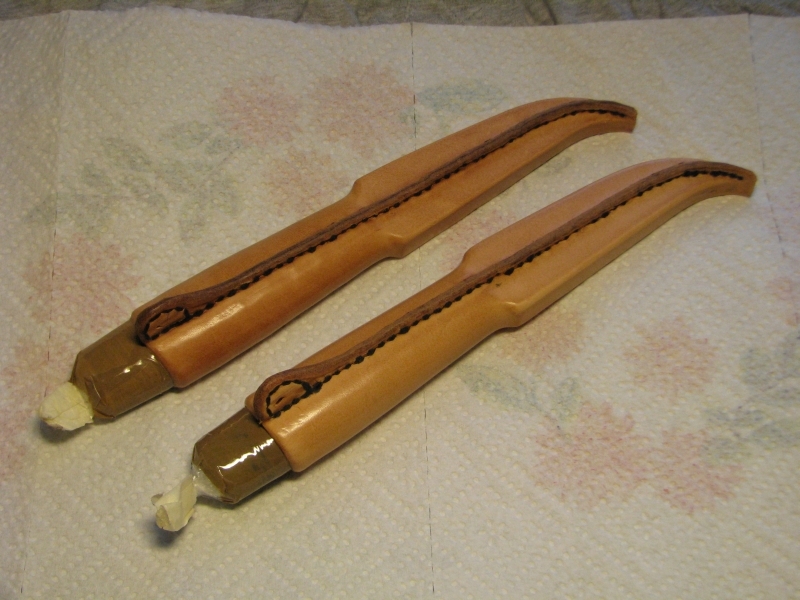 we can add the upper bolster and peen the tang. 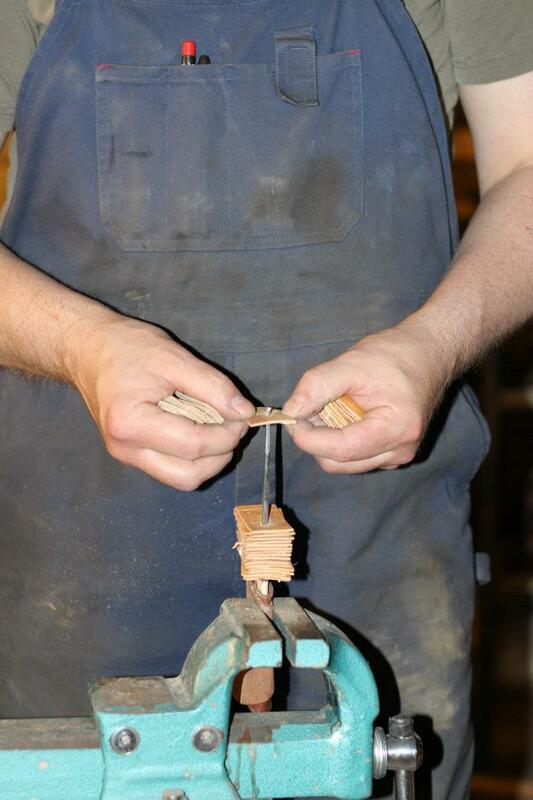 When I stack the handle I make it slightly longer than it needs to be and heat it with a heat gun. 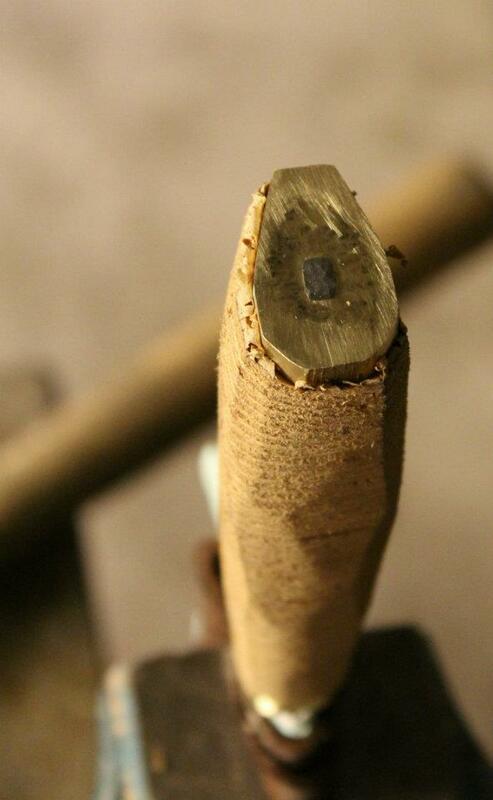 It allows me to make the handle even tighter and it makes the pieces stick together by activating the birch tar. 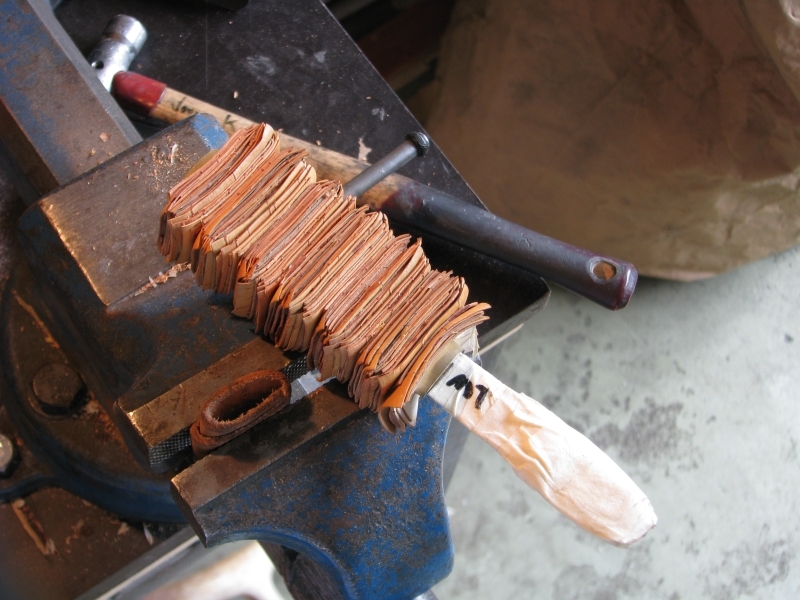 A couple touches with the belt grinder to see how the peening went, so far everything’s ok. 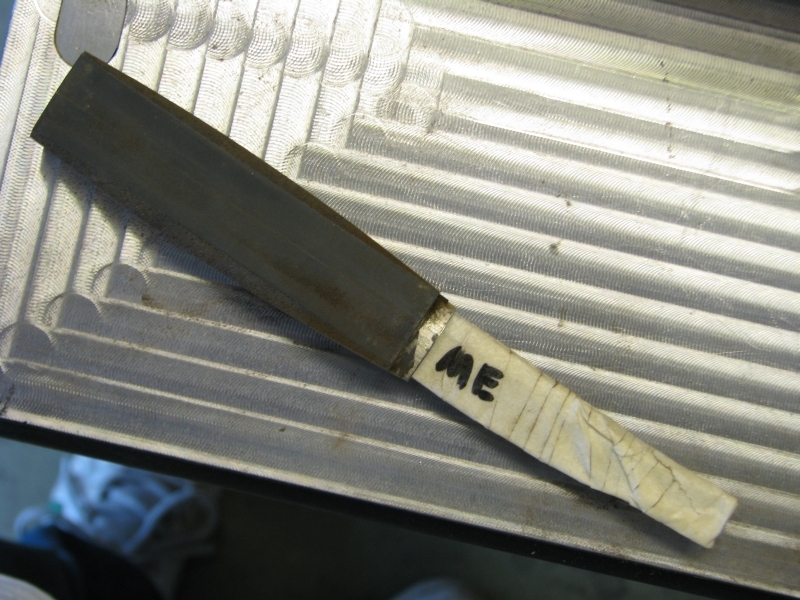 The knife looks rather strange at this point. I always go overkill with the size of the bark pieces. Better safe than sorry. 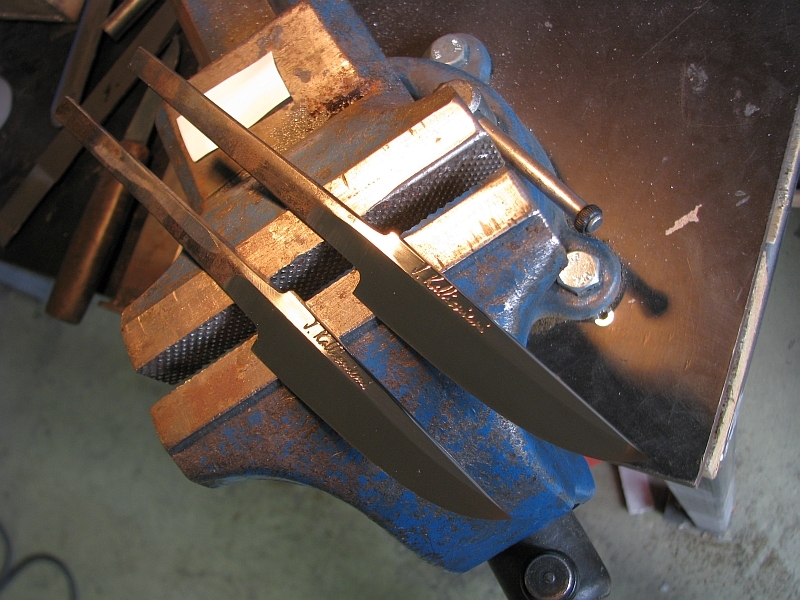 We need to assemble the ebonite handled knife as well. Here it’s ready to be put together. Just a peek at the dovetail joint. It is painstaking to get everything right, but so far we haven’t messed it. Knock on wood! 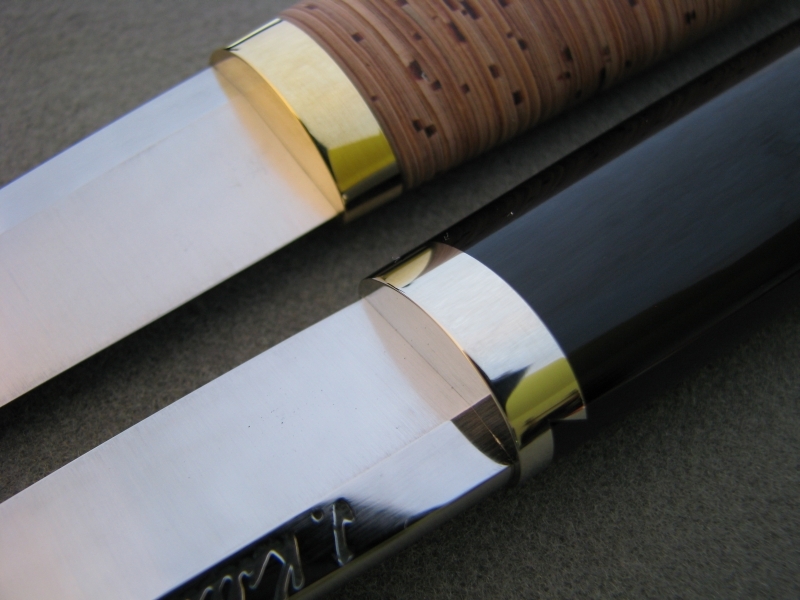 Along with the dovetailed bolster, the inlaid rivet at the back end of the handle is one of my things, almost some sort of a trademark. It also needs to be fitted precisely or it will look ugly. 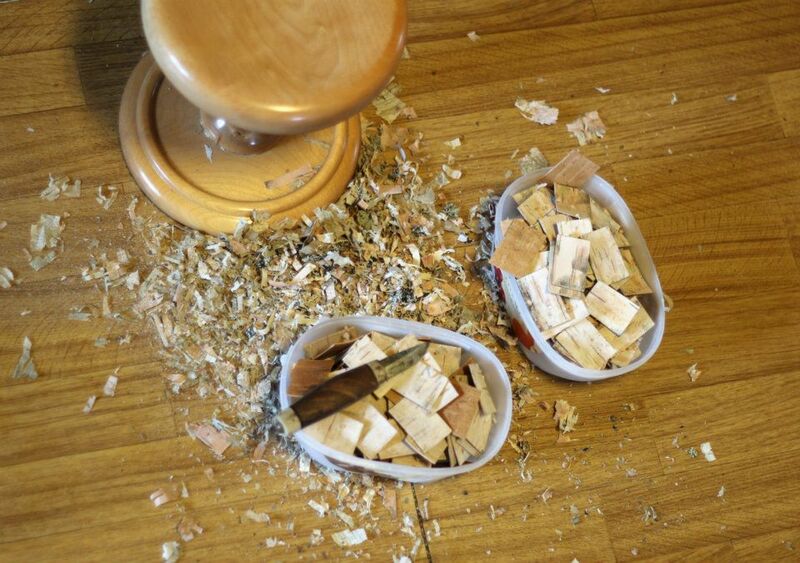 Again quite a leap but here I’m peening the tang. 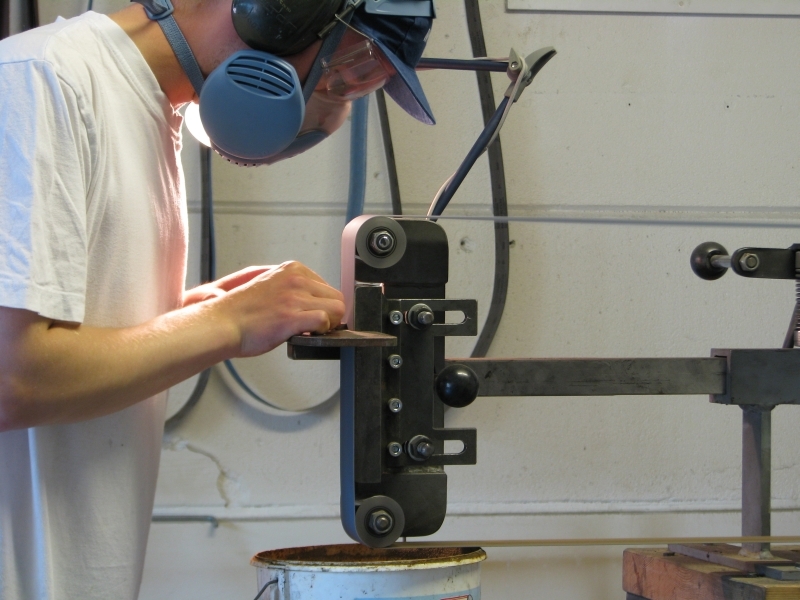 With solid handles like this I add epoxy for added strength, but It is the tightly fitted, peened structure that holds everything together mostly. I forgot to take a picture after hammering. Here it has already been cleaned a bit with a touch on the grinder. Time to take the tape off and check that everything is going like it should. 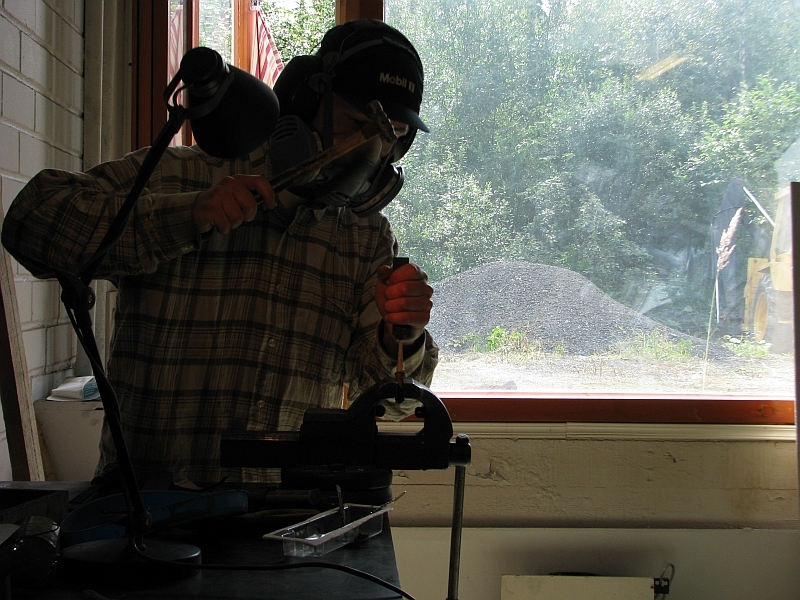 And after that I round everything and make the shape right. 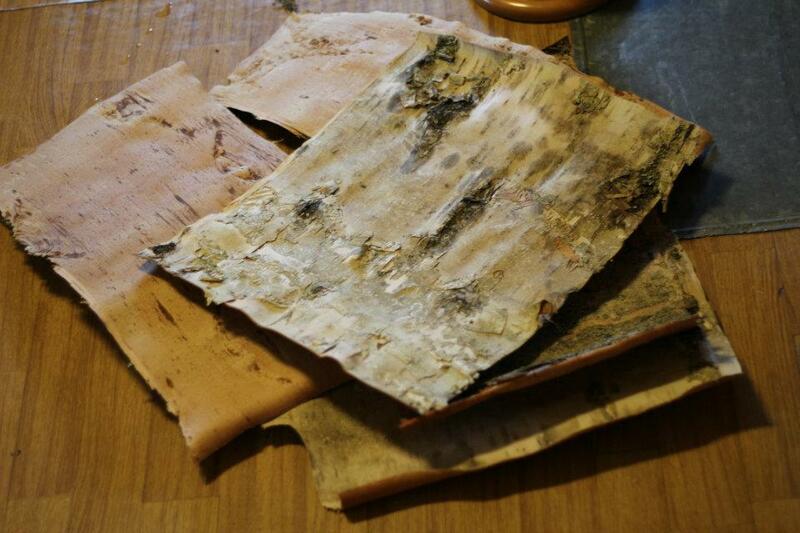 And the same with the birch bark. And again we can round everything up. 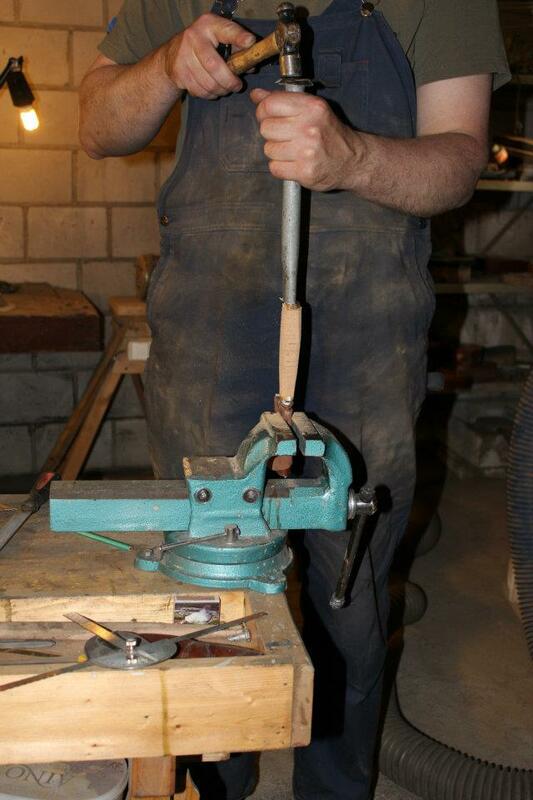 Here I’m shaping the handle on a disc-sander. 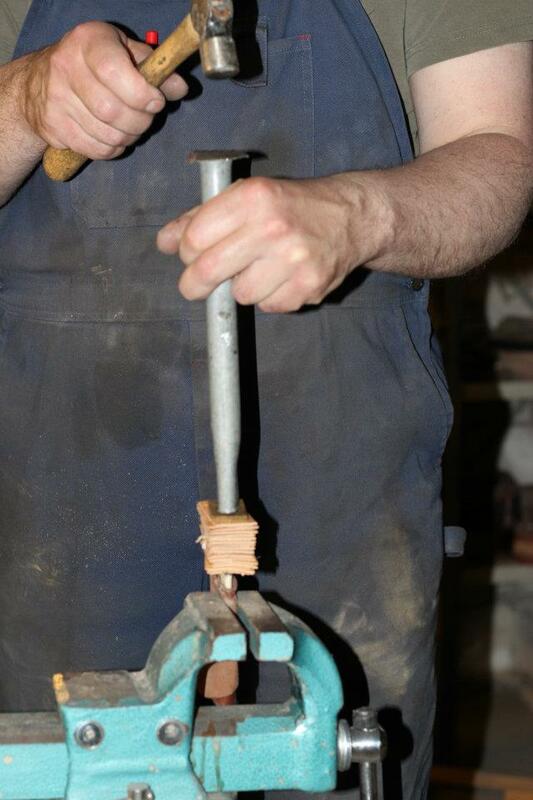 After the rough shaping it is just a matter of taking the handles to a finer and finer finish. 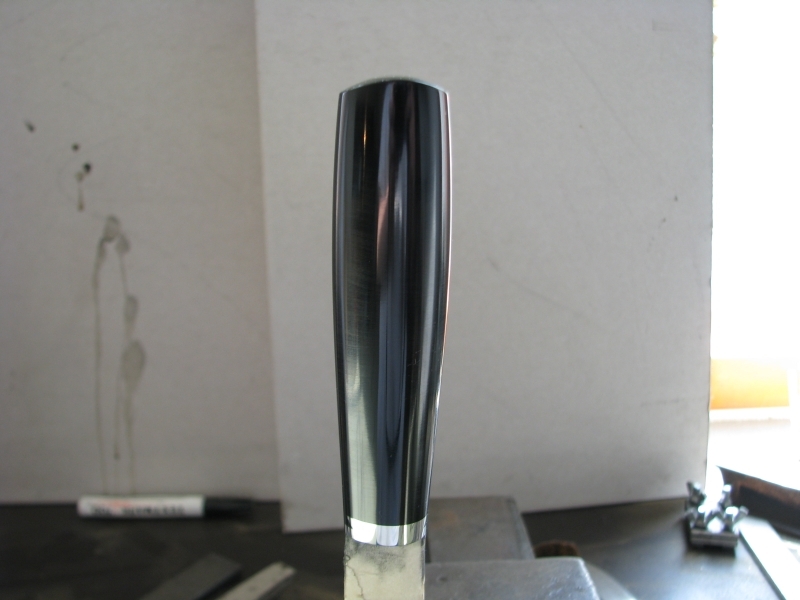 This is just a pic to show how nicely the ebonite can be finished. We’re not yet completely done, but we’re getting there. 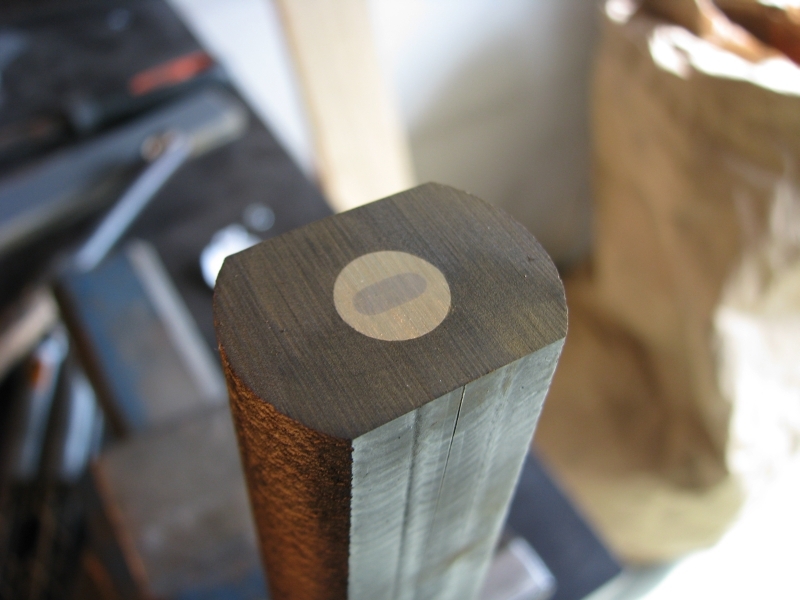 This is the inlaid rivet. 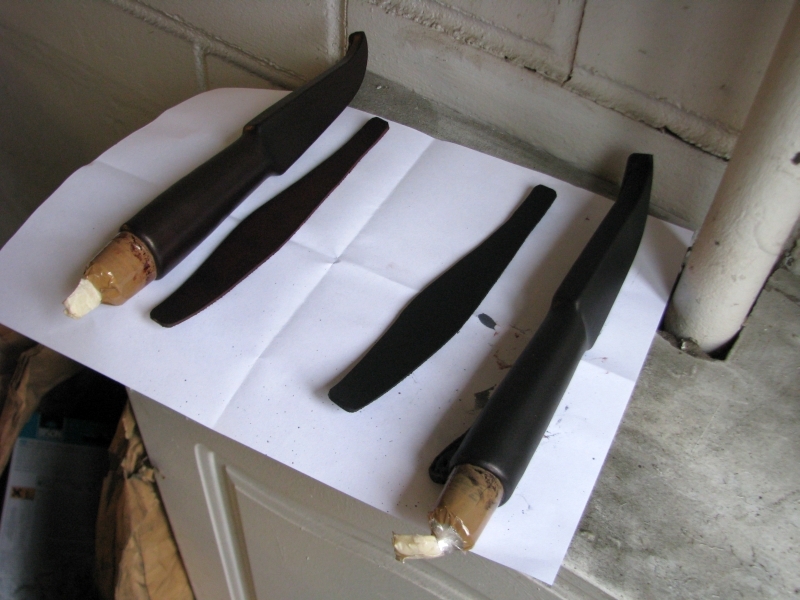 Both of the handles are almost completely finished so it is time to make the wooden liners that come inside the sheaths. 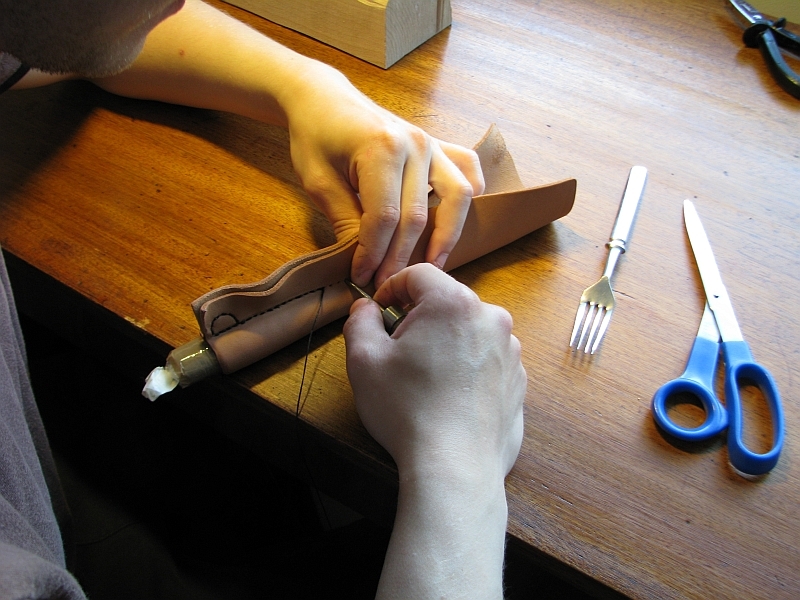 They dictate the shape of the sheath so I need to be precise. The sketching and all the lines may seem strange but they help me get where I want. 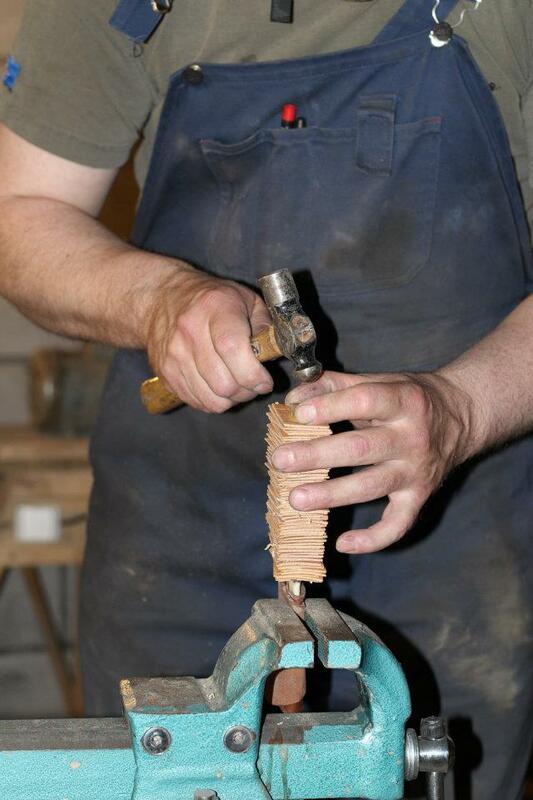 With all the shaping and carving done, we just need to glue on the other side and shape it accordingly. 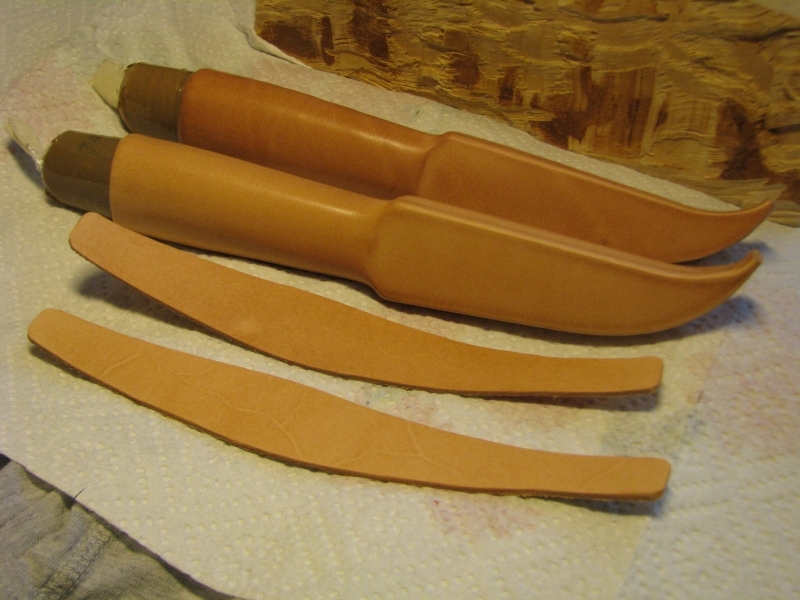 With the liners and handles finished, I have taken some 2mm cow leather to make the sheaths. 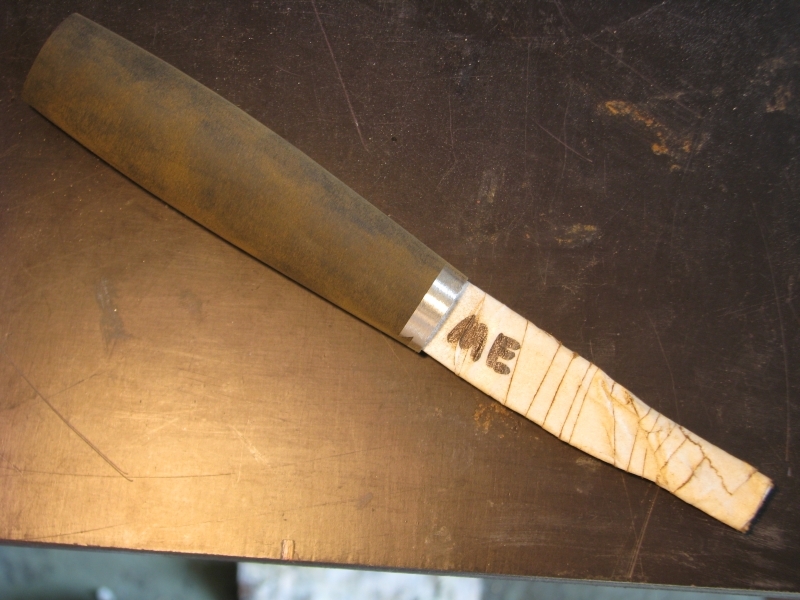 The edge has been beveled and I have some markings on the pieces. 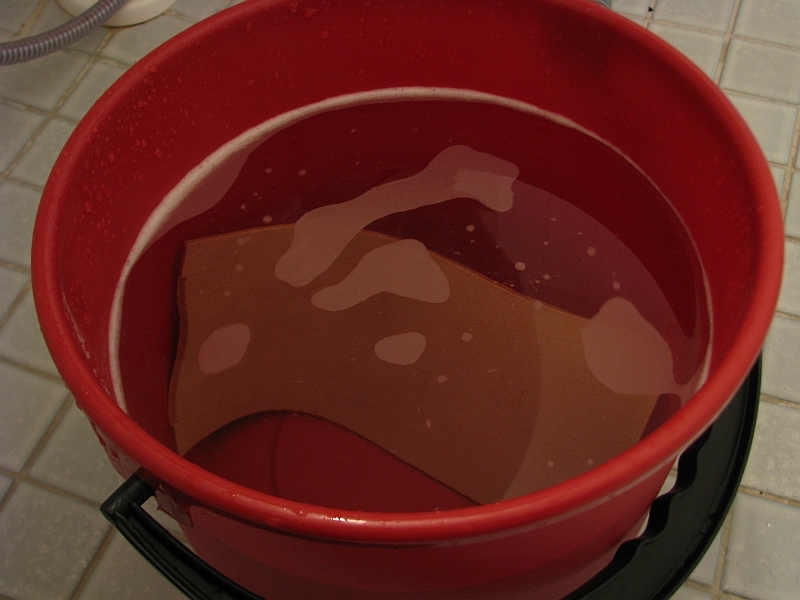 The leather needs a good soaking in warm water. This is pure handwork. 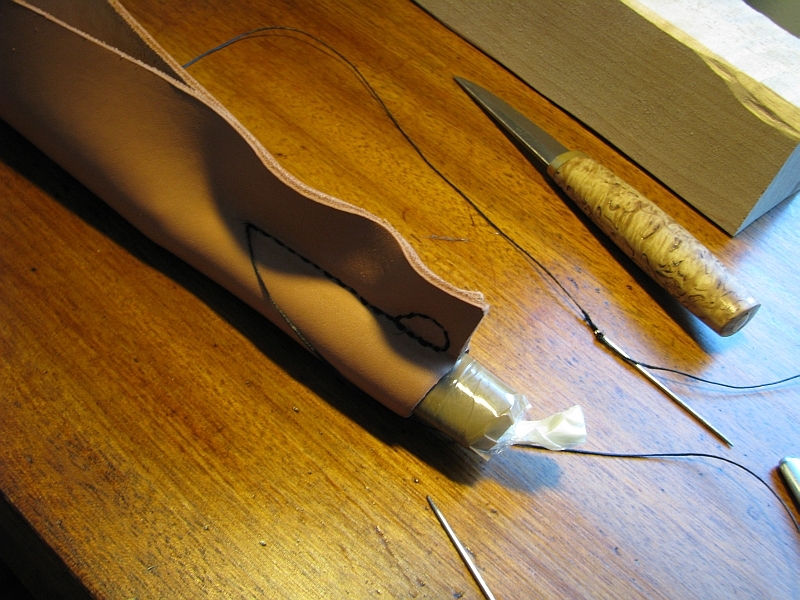 I stitch the leather on the knives to get just the right shape. Her you can see that I have already started to stitch it. Notice that I have protected the knife thoroughly with plastic wrap and packing tape so the moisture doesn’t get to it. 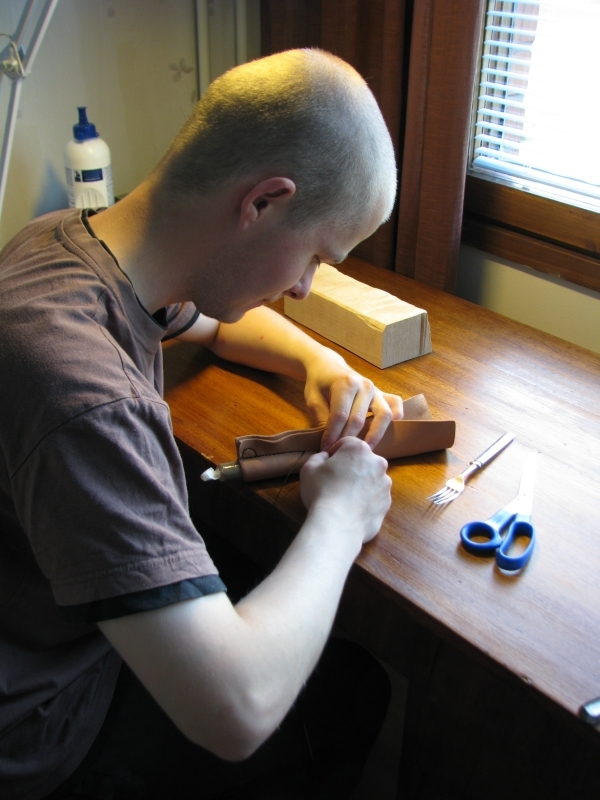 I do my leather working in my home, away from the dirty workshop, because with leather you need a clean working environment. The peaceful and clean leather work gives some balance to my work, I like it. Everything seems to be ok! After the leather has dried and I have glued the seam it is time to clean it up a bit. 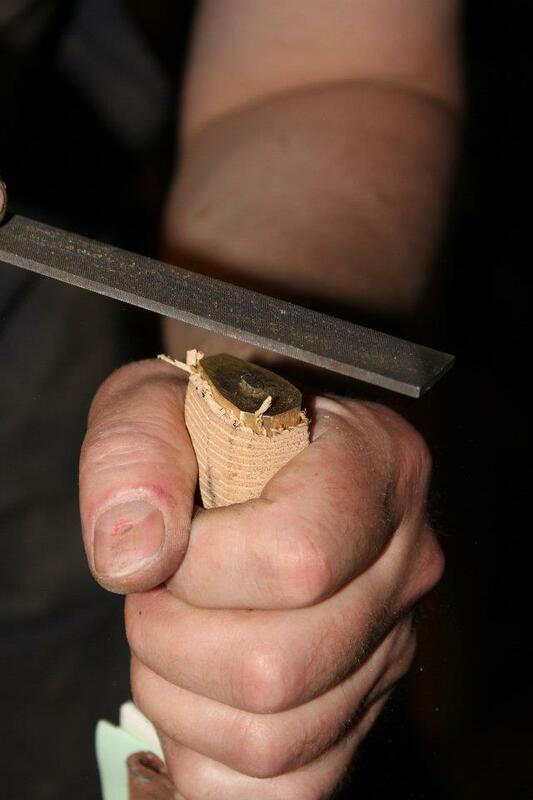 A puukko knife does this job well. 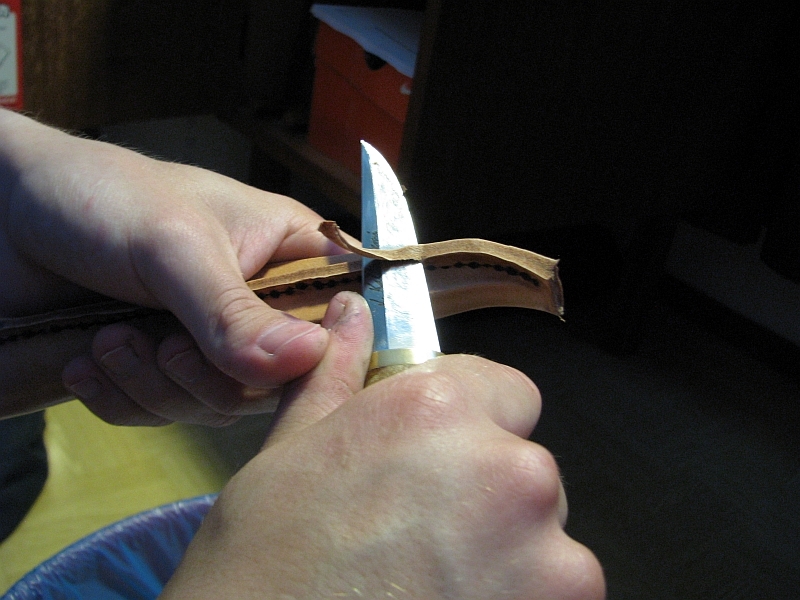 We have the sheaths almost ready. 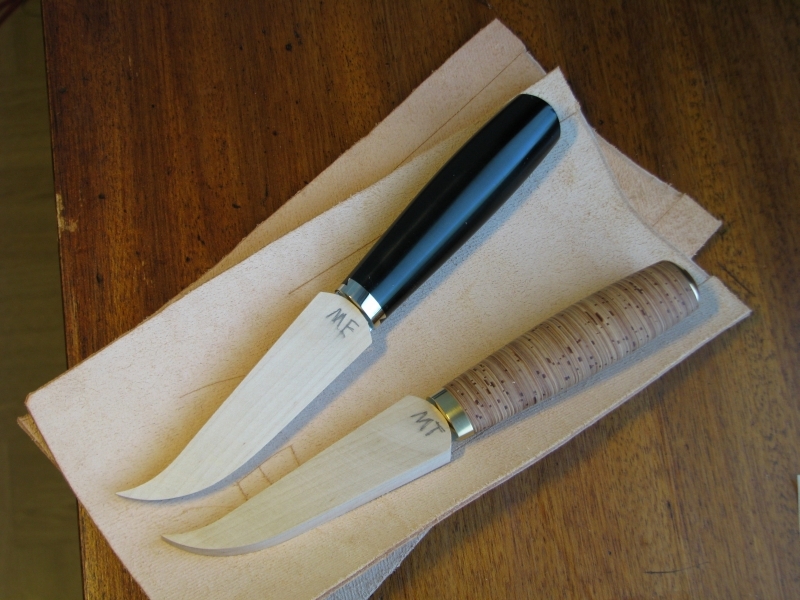 And we finally have two finished knives! 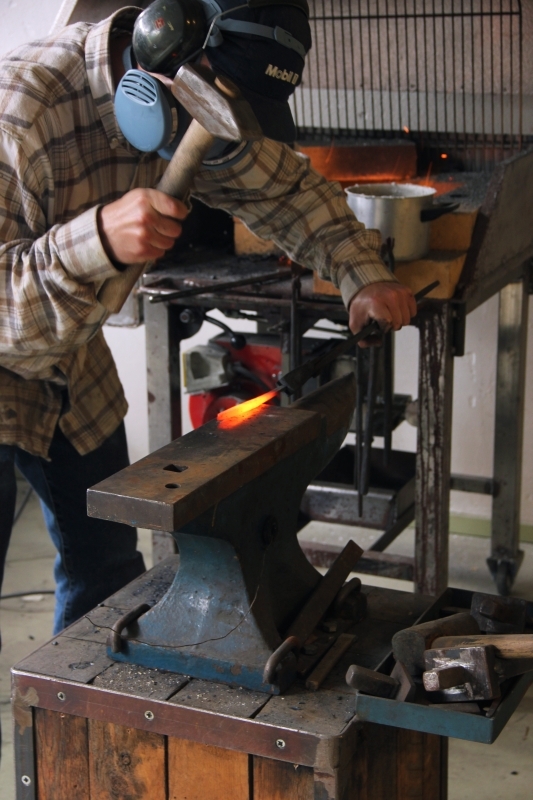 This is one of my favorite articles, translated from the website of Anders Halldén at cultur.nu I hope you enjoy it! 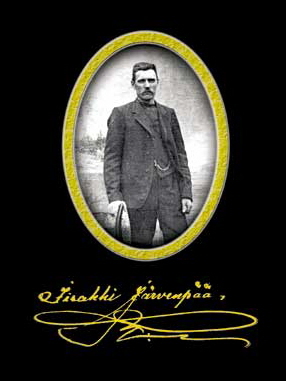 “Iisakki Järvenpää ( Isaac Riverhead in English) began his career at Kauhava Puukkotehdas in 1899. (Puukkotehdas translated means knife factory). 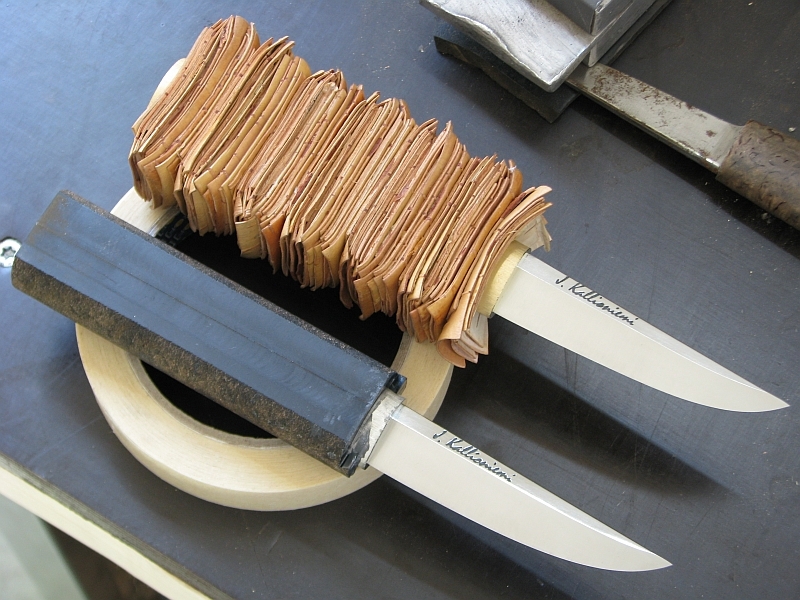 The factory was founded in1898 and made knives until 1939. 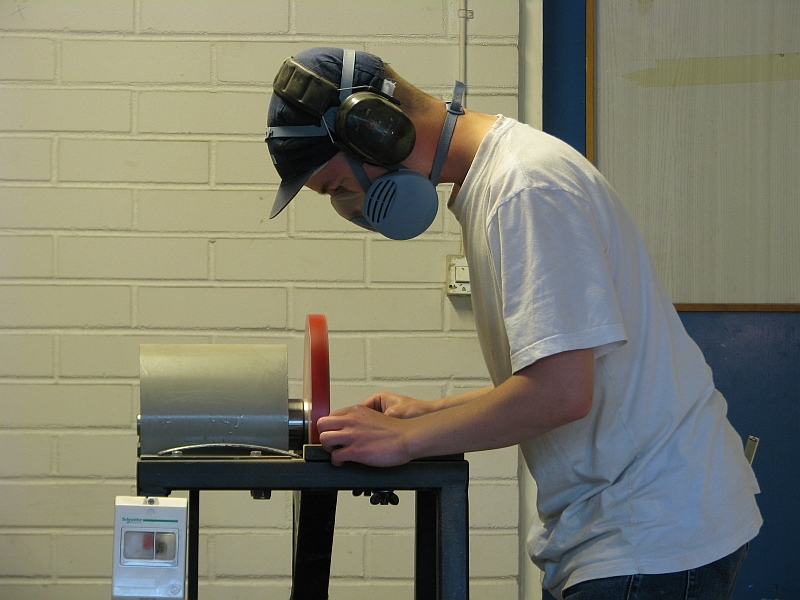 Iisakki Järvenpää was employed as production manager, or perhaps better foreman. 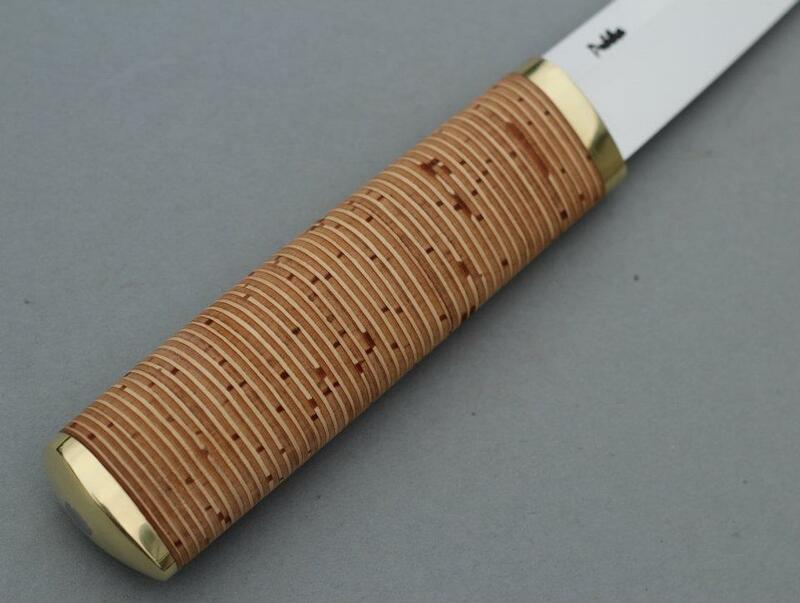 This beautiful, pristine and pure luxury knife that you see in the first image is made to a very high standard. 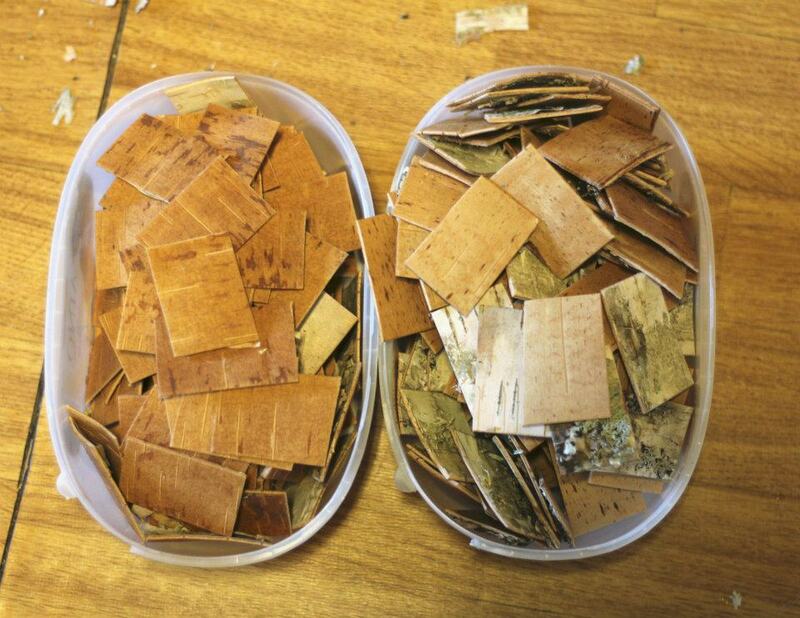 With one hundred percent certainty it can be assumed that Iisakki Järvenpää was involved in manufacturing, especially considering that he just started as head of production. 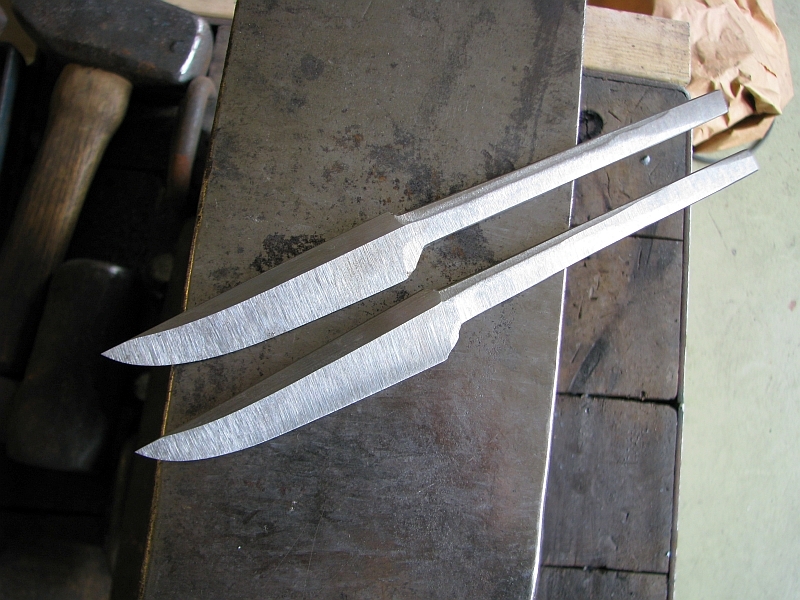 The knife, which measures 25 cm, or about 10 inches in the sheath, is designed to be hung on the festival clothes, a jewelry knife or “staskniv” (finery knife) as our Norwegian friends would call it. Iisakki Järvenpää. 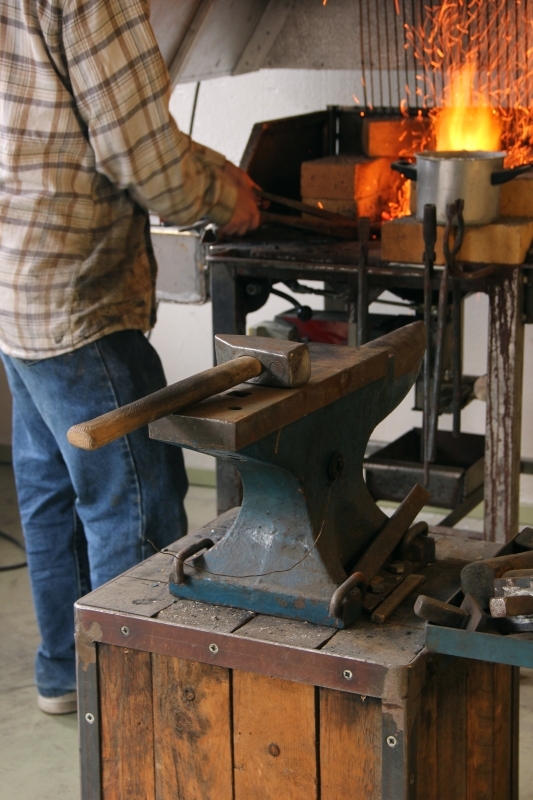 worked at the factory up til 1904 but who was this man who is one of the world’s most famous knife makers? 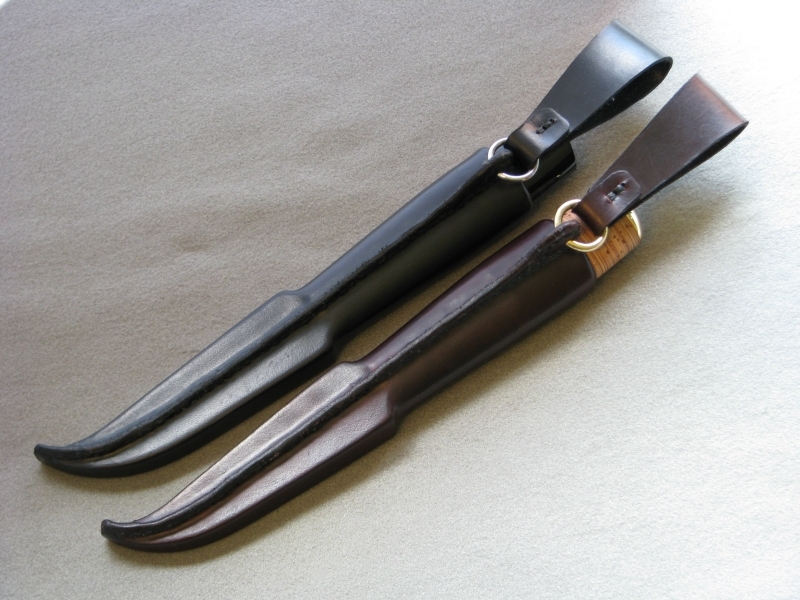 Iisakki was born in Kauhava parish1859 and by the age of 20 had begun knife making. 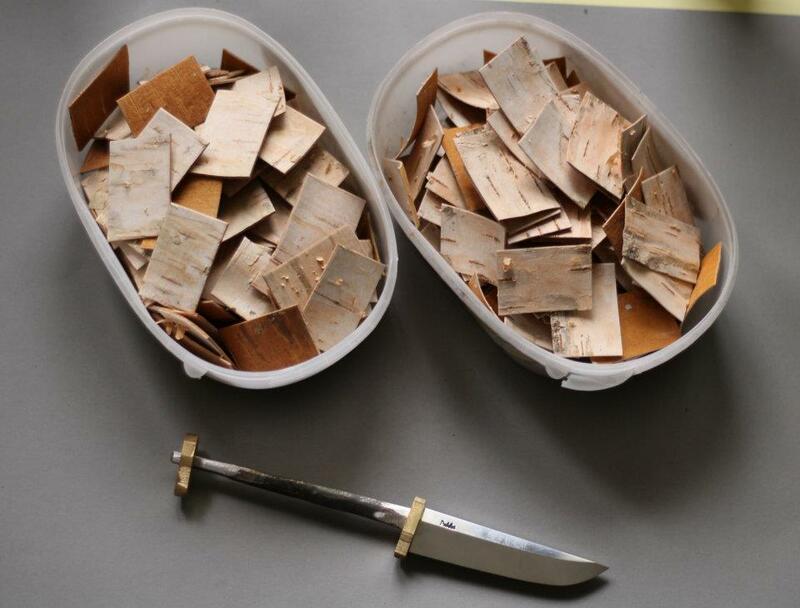 From the beginning, he used bark on the handle and after a few years 1881, he began to make his own blades. 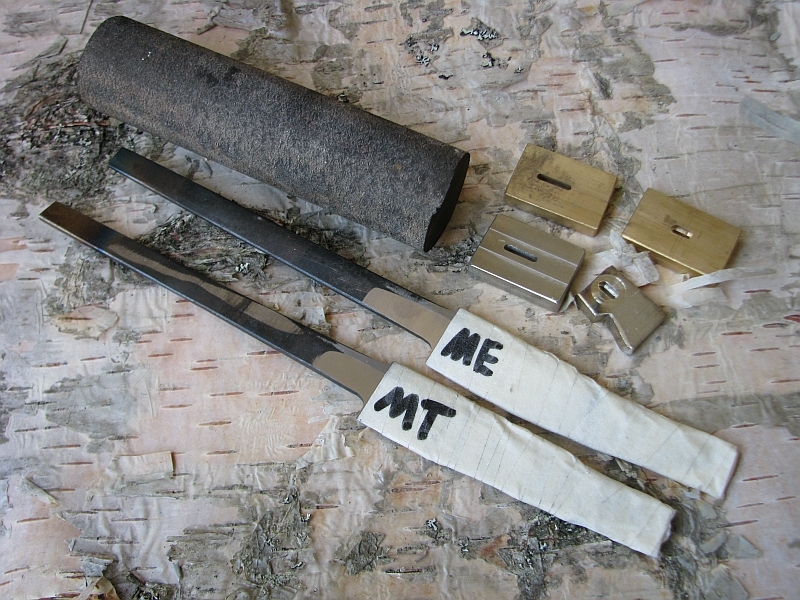 A year after that he and several others began to etch the blades with manufacturer’s name and place of manufacture, Kauhava, Finland. 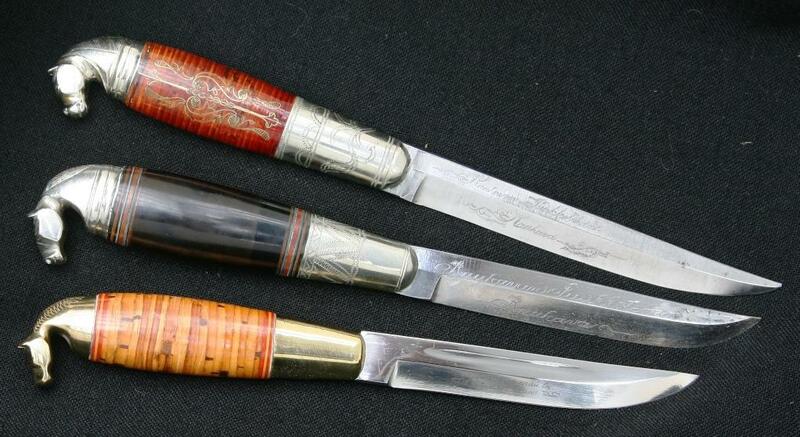 On a knife from 1887, one can see that the model over twenty years has not changed much. 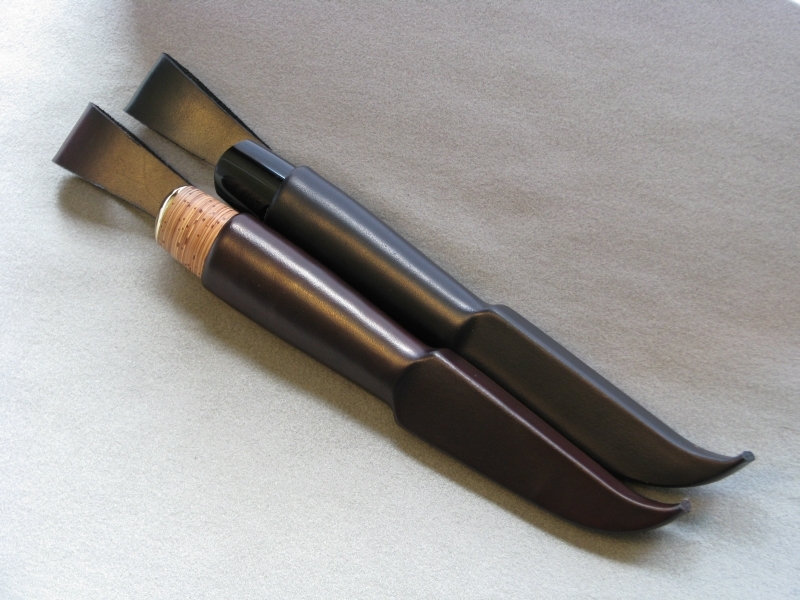 Black and red sheath with pressed pattern, the knife was narrow and graceful model, red bark stems decorated with inlay and beautiful graceful and generous decorated brass fittings. 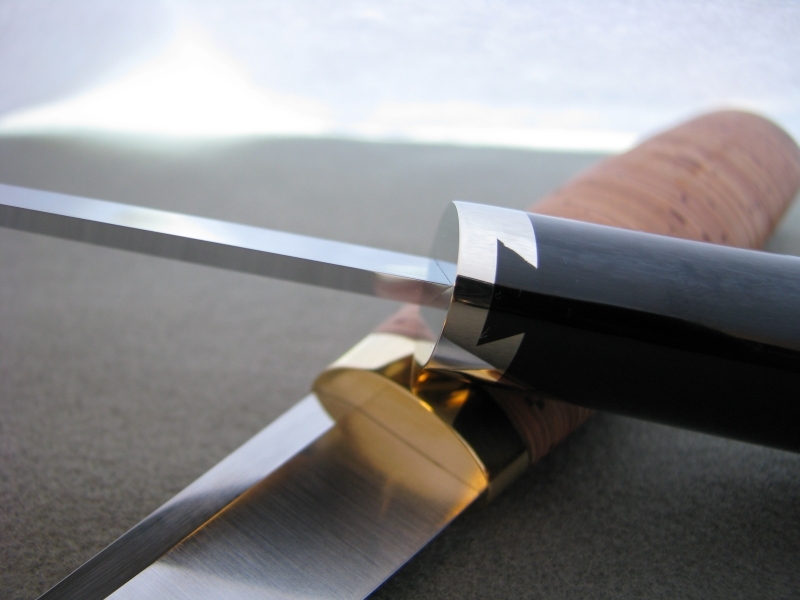 A blade that is beautiful, free of the blood groove, something that began in 1905 which was a requirement for the U.S. market. 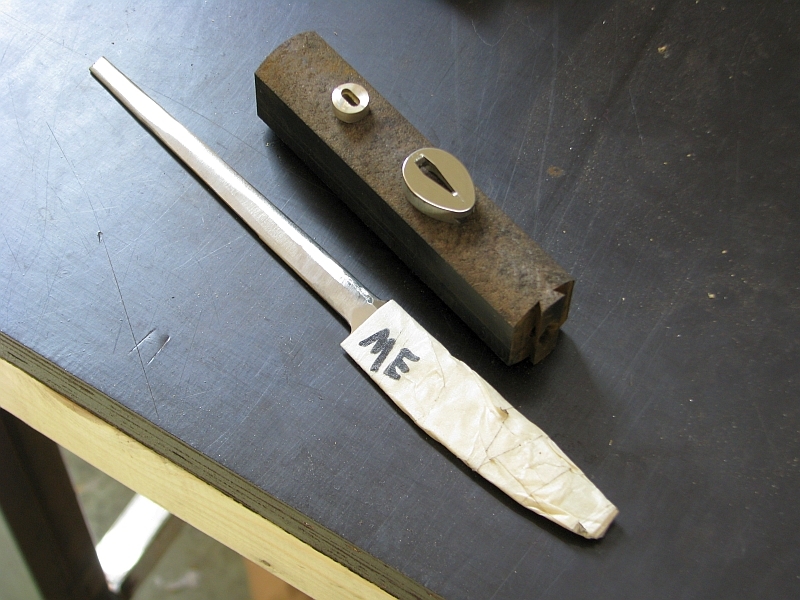 To return to the first photo, a horse head knife that was never used, the knife in absolute mint condition. 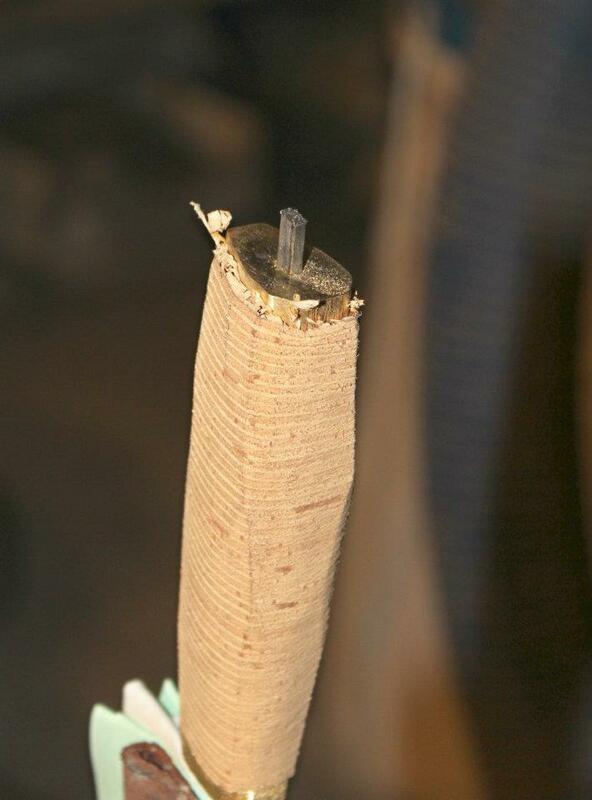 Inside the sheath is only a few small scuff marks and it is 110 years old! Fittings in nickel silver, marquetry made of over a hundred small brass wires. To cap it all, the beautiful cast horse head, filed and engraved. Now look at the next photo and see what happened with the horse head. The oldest head which sits on the knife in the top photo has an identical style as an original on a knife from 1891, therefore I assume that this is from same casting model as the Juho did some time in the 1880s. 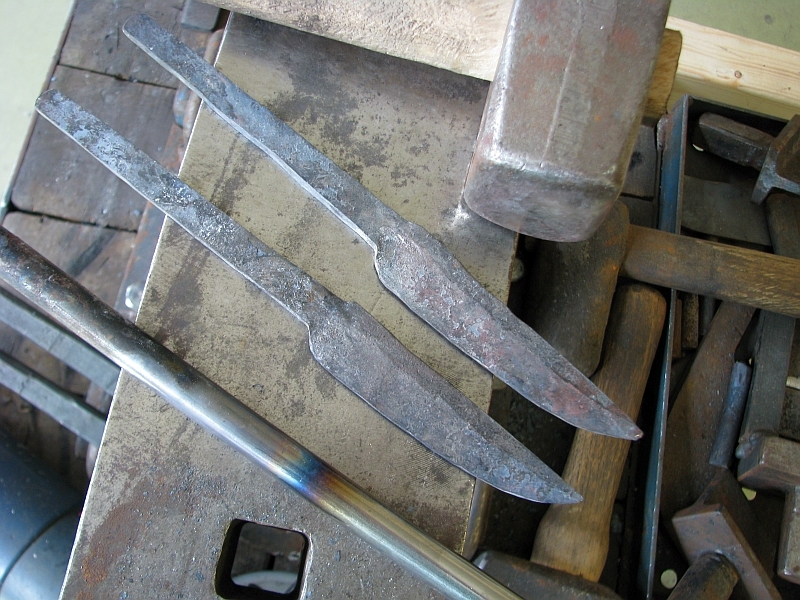 As shown in the pictures of the three horse head knives a move toward a simplified form occurred. 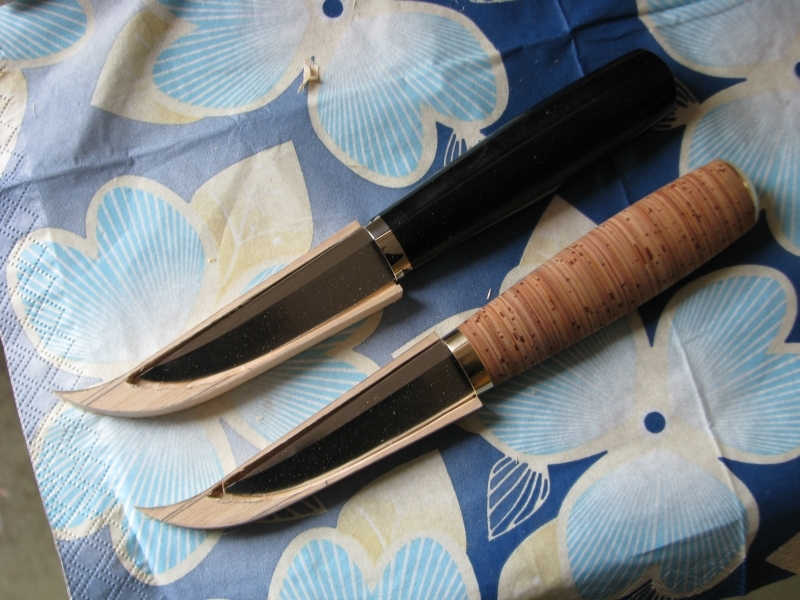 The knife in the middle is also from Kauhava Puukkotehdas but made 30 years later, and you still see the good craftsmanship. 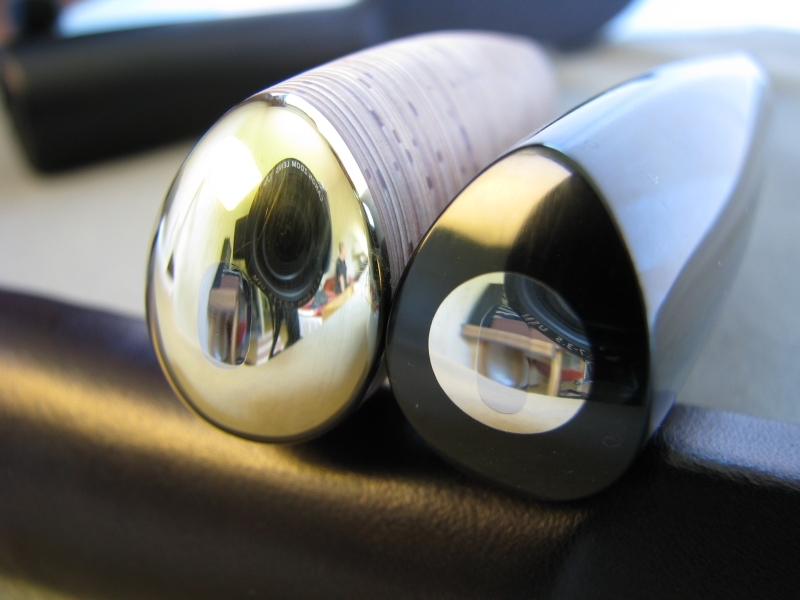 Reduced in size, still engraved but now only on one side and the details have become fewer. 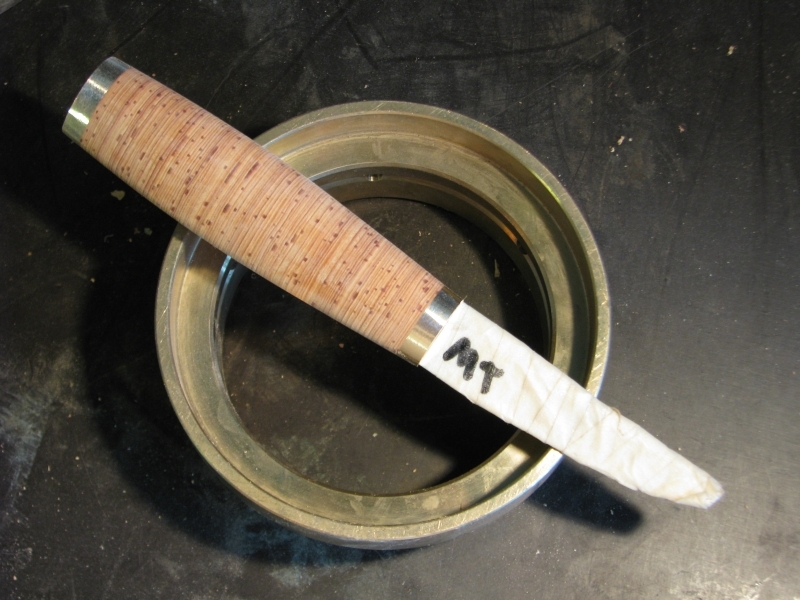 The handle is now galalith (a synthetic plastic material manufactured by the interaction of casein and formaldehyde), later in the 1900s it was made from plastic. 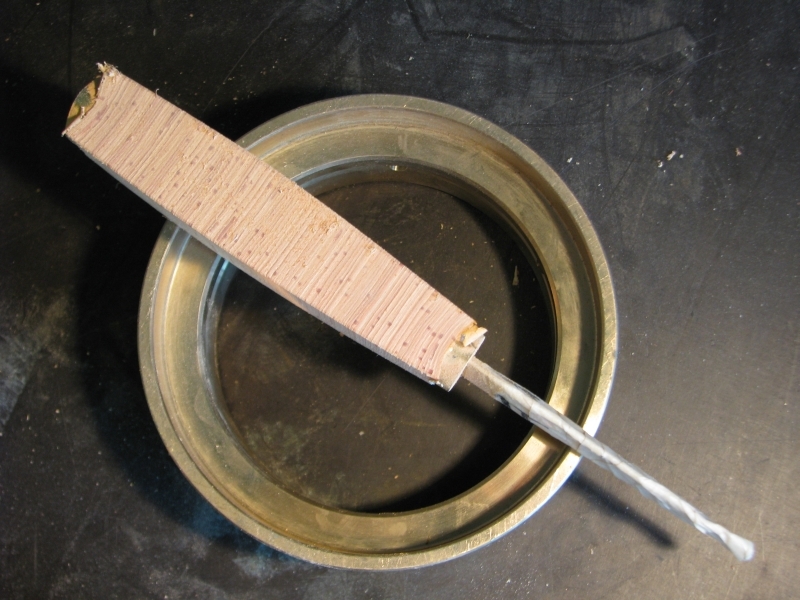 The lower blade made by Iisakki Järvenpää OY, 50 years later, has regained the bark handle, but without any decoration. The horse head has lost almost all the detail which enabled a much easier casting without significant rework. 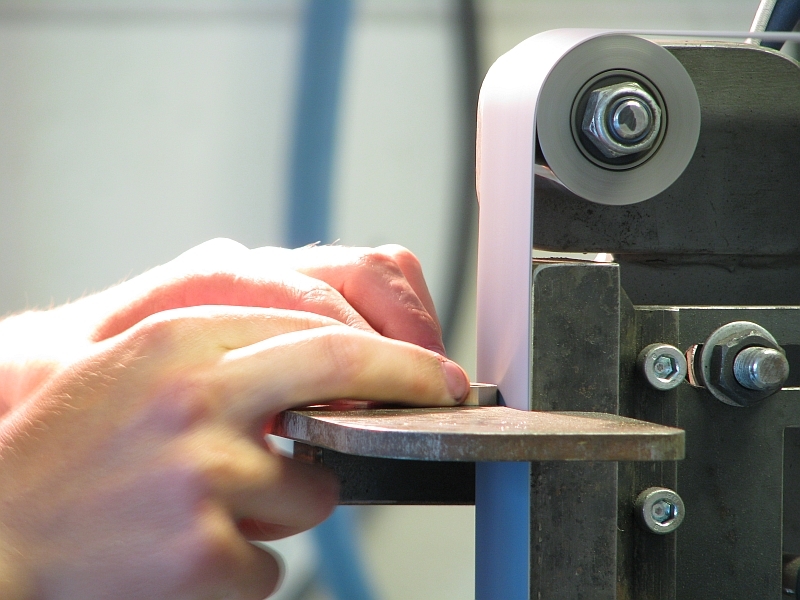 We all know to work costs money and that production must be simplified for efficiency for the blades to be able to reach the market at an affordable price. 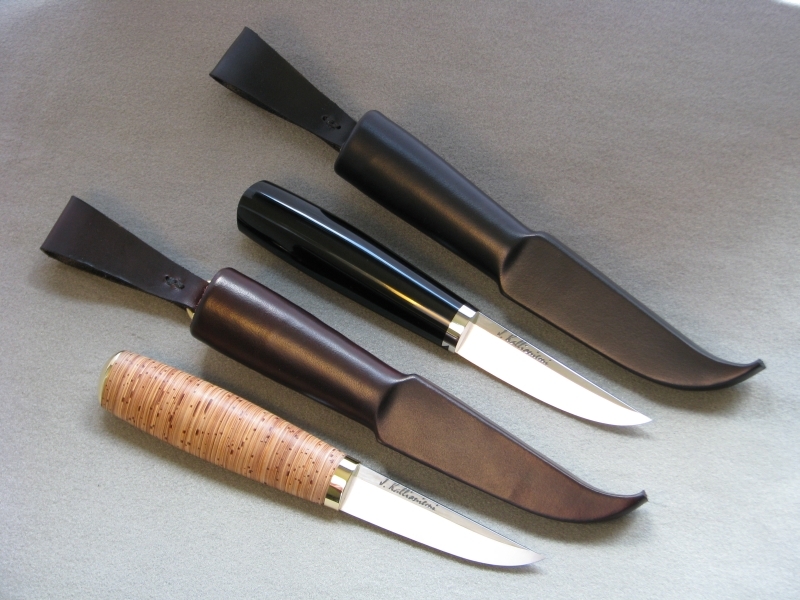 Sources: Suuri Puukkokirja , Timo Hyytinen, Collectable Knives of Finland, Lester Ristinen, A Finnish Knife Legend by Pentti Turunen , Norwegian knife blade nr3 2002. 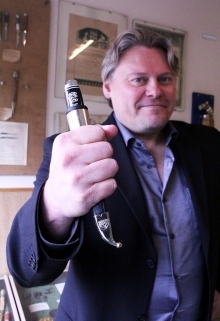 Iisakki Järvenpää Oy was purchased in June 2013 by three South Ostrobothnian entrepreneurs. 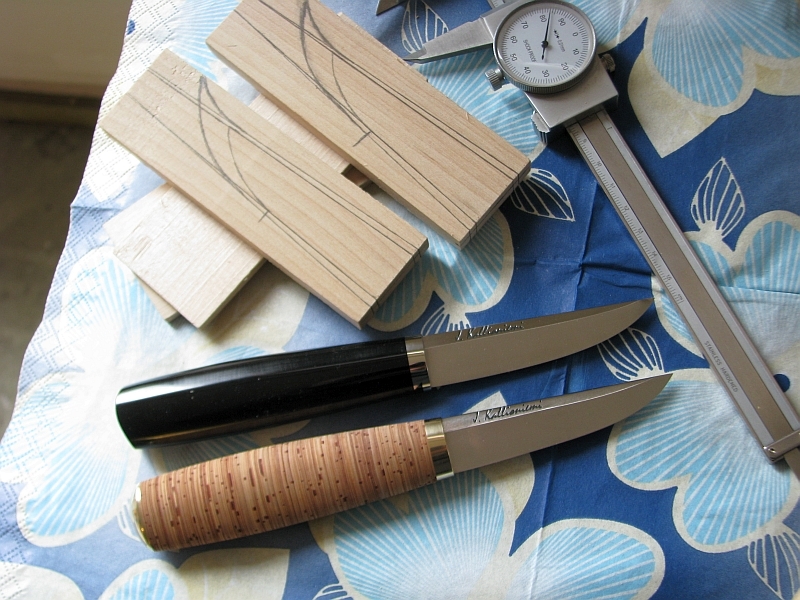 The aim is to develop and maintain Finnish knife manufacturing and crafts. The company’s strength is the company ‘s brand and employees. The current staff will continue employment without interruption. Pekka Pollari, Jarkko Haukkala and Hannu Pennala are the new owners. The new president and CEO, Pekka Polari.